He’s not one to seek the spotlight (so you won’t see his picture here), but Morgan has celebrity-like status at ExtraFood. 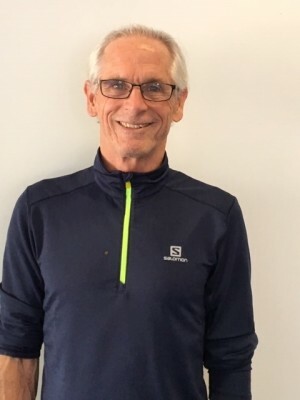 He’s one of our original Food Recovery Heroes, a group of long-time, dedicated members of our phenomenal volunteer team that have volunteered for us for at least 3 years and have demonstrated extraordinary dependability, commitment, and passion for our mission to end hunger and wasted food in Marin. Steady as a rock, Morgan has “owned” a weekly food trip from Marin General Hospital to Homeward Bound’s New Beginning Center since the day he started volunteering with ExtraFood 5 years ago. How grateful we are for Morgan’s reliability, dedication, and passion for serving our community in need! An ExtraFood volunteer food runner since 2015, Peter has delivered over 53,000 pounds of food and he’s completed over 400 food trips! One of our “regular” volunteers, he “owns” weekly food trips that enable him to form a deeper connection with the food donors and recipients that he sees every week. When a recent schedule change prevented him from continuing with one of his long-time weekly food trips, he quickly picked up another trip that fit his schedule. Now that’s dedication! We, and the people that Peter encounters every week at Trader Joe’s in San Rafael, Nugget Markets in Tiburon, Bradley House, and St. Vincent de Paul are truly fortunate to work with Peter. 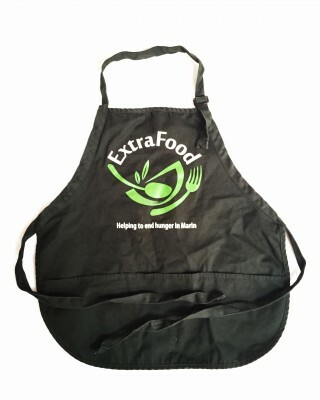 ExtraFood is blessed to have the help of a variety of different types of volunteer food runners, from those that can pick up multiple food trips in a day to those that can jump in to fill open trips at the last minute to those that quietly complete the same food trip every week. Kerri is one of the latter. She may humbly go about her business each week, but her impact is anything but ineffectual. In just under a year, her weekly food trip from Panera Bread has resulted in recovering over 4,000 pounds of food to serve needy seniors at Covia. Seniors are a top priority for ExtraFood, so we are especially grateful for Kerri’s commitment to providing Covia’s independent elders a reliable source of healthy food week in and week out. Kerri is proof that a steady presence can make a big difference in our community. David R., Sr. & David R., Jr. This father and son team sparks such joy in our hearts and in the hearts of the food donors and recipient organizations they encounter on their volunteer food trips. Since beginning with ExtraFood in December 2016, they have completed close to 90 food trips and recovered nearly 17,000 pounds of food. That’s an average of almost 200 pounds per food trip. Whew! Compassionate hearts and enough brawn to take on (very!) heavy loads without breaking a sweat; talk about a winning combination. We are truly grateful to have this amazing pair on our side. This incredible mother and daughter team knows how to get things done. Together they have delivered nearly 3,000 pounds of food from the Sunday Civic Center Farmers Market, a food trip that involves gleaning and sorting hundreds of pounds of produce and baked goods and two hours of volunteering every time. 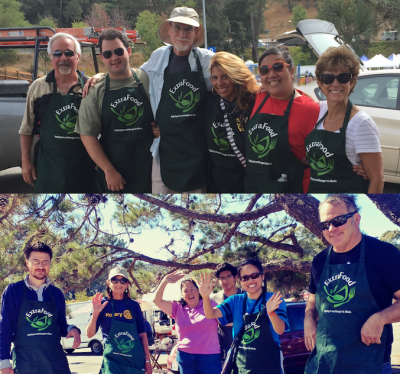 They started volunteering once a month with the Terra Linda Rotary Club Farmers Market team in May 2017. Since then they’ve jumped at any opportunity to help our other Sunday Farmers Market teams. We are especially grateful for this dynamic duo’s assistance at several Farmers Markets this holiday season, when we called on them just days before the market. Dependable, enthusiastic, efficient, and never hesitant – Huong and Sarah are an inspiration. Robin is the epitome of “can do.” “Well, I have a truck, so I have lots of space for food,” she says. Doing food trips with all that cargo space seems only logical to Robin. And boy does she walk the talk! Since joining the ExtraFood volunteer team in early 2017, Robin and her trusty truck have completed over 750 food trips and recovered over 60,000 pounds of food. Can you fathom that much food?! She has 5 regular weekly food trips and still finds the time and energy to jump in to fill other open food trips whenever she can. Now that’s what we call commitment. Thank you, thank you, Robin, for your dedication to helping end hunger and wasted food in Marin! An ExtraFood volunteer for just under two months, Aileen knows how to make an impact in a short period of time. She’s already recovered over 750 pounds of food! 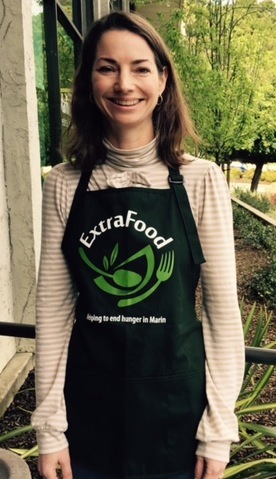 Aileen joined the ExtraFood volunteer team after coming upon our booth at the Marin Volunteer Fair earlier this fall. Solving the problem of hunger in the “land of plenty” has been a passion of hers for years, so connecting with ExtraFood seemed like a great fit. Aileen is a busy person and committing to specific volunteer times and days is challenging, so the flexibility of our program – which enables volunteers to sign up for food trips when it’s convenient for them – and the close proximity of a number of our food donation pickups and deliveries has kept Aileen engaged and enthused. Plus, she says, “It’s fun!” We’re so glad a chance encounter led Aileen to us! What a pair! 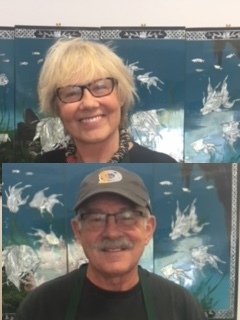 When the leadership role of our 4th Sunday Farmers Market volunteer team opened up, this incredible duo combined forces to lead an amazing team of volunteers from their respective Rotary clubs: the San Rafael Evening Rotary (Laura’s club) and the Rotary Club of Terra Linda (Brian’s club). With such competent leadership and a robust pool of willing and able volunteers (and Brian’s big truck for those extra large harvest-season farmers market donations! ), their team will never want for helping hands. What’s more, Laura and Brian stepped up to lead our pulled-together 1st Sunday Farmers Market dream team this month when our original team could not make it. Two farmers markets, two weekends in a row, two fabulous leaders, two super Rotary clubs… we are all too aware of how lucky we are to have these two on our team! How does one person deliver nearly 4,000 pounds of fresh, healthy food to serve the needy in less than 6 months? Just ask Kathryn. Determined to stay active and make a difference in her community in retirement, Kathyrn has done just that. 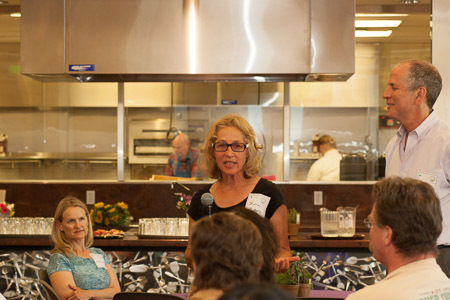 Her strong belief in our mission to end food waste in Marin brought her to us. What keeps her coming back every week? She says it’s the flexibility of our volunteer program and the joy and gratitude of the people she encounters on her food trips. We believe her generous and compassionate spirit also have a lot to do with it. We’re so grateful to have Kathryn on our team! Let’s hear it for our Volunteer of the Week, Annie L.! Annie has been a loyal ExtraFood volunteer food runner for 4 of our 4.5 years of operation. In that time she has completed nearly 90 food trips and recovered over 5,000 pounds of food. She takes on regular, weekly food trips and also jumps in to cover spontaneous food trips whenever she can. She currently owns our weekly trip from Barton’s Bagels to the San Francisco Theological Seminary. Students can’t learn when they’re hungry, so the students and their families truly appreciate her consistent deliveries of yummy bagels every Monday. 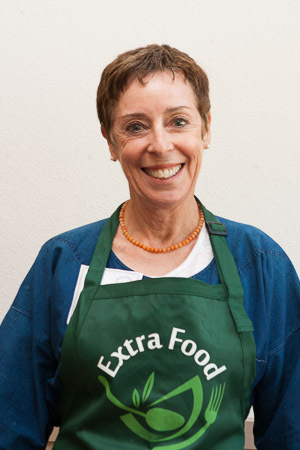 We at ExtraFood appreciate her big heart and commitment to our mission to end food waste and hunger in Marin. Lili is living proof that it doesn’t take a long time for one person to make a big impact. She’s only been volunteering with ExtraFood for one month and has already completed nearly 40 food trips, recovering at least a ton of food. Wowee! She has traveled all over Marin – from Novato to Marin City to San Geronimo and stops in between – to ensure that our recipient partners receive the food they need. We are so inspired by her “can do” attitude and incredible drive to help. How lucky are we to have Lili in our corner? Siobhan has been volunteering with ExtraFood for just two years and has already delivered over 11,000 pounds of food to support our friends in need. Soon after starting with us, she took “ownership” of our Friday Marinwood Market pickup. But her service doesn’t stop there; she also jumps in to fill open trips in the Central and North Marin areas whenever she can, which is a huge help to us. We are so touched by Siobhan’s commitment to helping eliminate food waste and hunger in Marin! 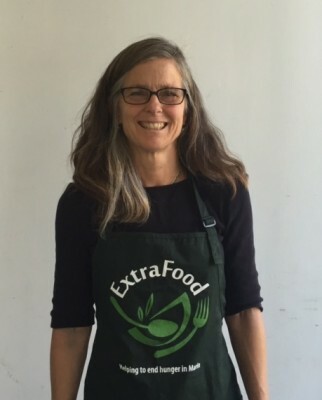 A phenomenal volunteer, Ellen is an ExtraFood Food Recovery Hero – a long-time, dedicated member of our incredible team of 300+ volunteers, who has volunteered for ExtraFood for more than 3 years, and has demonstrated extraordinary dependability, commitment, and passion for our mission. She’s been a volunteer food runner since early 2014, helps organize our annual Volunteer Appreciation event every year, helped launch our volunteer name badge “milestone” incentive program, is a mainstay at ExtraFood fundraising events, and was our 2017 Volunteer of the Year. What’s more, she’s jumped in to support the Sunday Civic Center Farmers Market volunteer teams so many times, we’ve lost count. This past Sunday she helped an unusually small team glean, sort, and deliver over 500 pounds of food. Whew! Are we ever glad to heave Ellen on our team! Congratulations to our Volunteer of the Week, Chris G.! He’s only been with us for a short time, but he’s already jumped in with both feet. In addition to completing numerous food trips so far, Chris will be leading our 3rd Sunday team at the Civic Center farmers’ market starting in October. For those of you who haven’t yet volunteered at the market, it’s a fun activity for a team of 5-8 people, collecting produce from the many generous vendors and delivering it for people in need. Chris has already volunteered as a team member at the market and he’s now fired up to lead the team on the 3rd Sunday of every month! We’re grateful for Chris’ passion for our mission and for his leadership. In the 18 months he’s been an ExtraFood volunteer food runner, Matt has recovered over 15,500 pounds of food from Trader Joe’s in San Rafael. Wow! Matt is a member of the San Geronimo Presbyterian Church’s “Green Apron Team.” This special group of volunteers proudly dons their ExtraFood green aprons and travels all over Marin to pick up and deliver food donations to the church’s food pantry, an important food source in the West Marin “food desert.” Thank you, Matt, for your tremendous help in supporting West Marin’s community members in need! Currently a member of ExtraFood’s famous 2nd Sunday Farmers Market team, Larry has been doing some serious heavy lifting for ExtraFood – to the tune of 3,500 pounds! – since 2015. He’s an integral part of the 2nd Sunday team and has only taken one day off from volunteering since joining the team two years ago. What’s more, this former math teacher calculates the weights of all the beautiful produce and fresh baked goods donations his team receives – in his head! Brains, brawn ... Larry’s the whole package. We’re so fortunate to have him on our side! A volunteer food runner since 2015, Lynne has delivered nearly 3 tons of food and completed over 375 food trips. She currently “owns” two regular weekly food trips, picking up food donations from Noah’s Bagels and SusieCakes in Greenbrae. 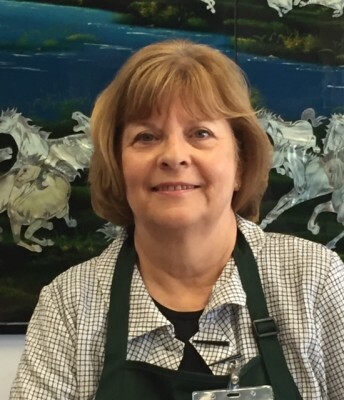 Dependable and flexible, Lynne has rolled with ease through multiple changes in her owned food trips — from pickup and delivery time changes to delivery location changes. 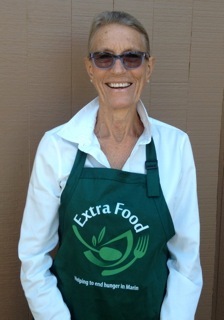 We are so grateful for Lynne’s longtime dedication and commitment to ExtraFood! Reliable, steady, dependable – we never fret when Denise is on the job. Every week, for over three years, Denise has picked up food donations from Safeway Community Markets in San Anselmo (formerly Andronico’s) and has delivered them out to the San Geronimo Presbyterian Church. The oftentimes very heavy donations are important to the church’s food pantry, which serves many residents in the West Marin “food desert.” Since April 2015, Denise has brought the church over 40,000 pounds of food. Incredible! We are blessed to have Denise on our team! With nearly 200 food trips under his belt, Howie is a shining example of how big an impact one person can make by jumping in to cover food trips whenever they have an hour to spare. Using this simple tactic, Howie has recovered over 16,000 pounds of food in 2 ½ years. Wow! We don’t know what we’d do without compassionate folks like Howie that take time out of their busy days to lend a helping hand to those who need it most. We’re bursting with gratitude! While they may not seek the spotlight, we simply couldn’t wait another minute to honor this phenomenal couple. Dedicated volunteers that “own” several weekly food trips, Joan and Mike have been quietly delivering food donations to our grateful recipients – over 10,000 lbs. worth! – for nearly two years. We so admire their sincere concern for our recipient partners and their utter gratefulness for our generous food donors. Their passion for the work that we do is palpable. We are so grateful to Joan and Mike for going “all in” with ExtraFood! 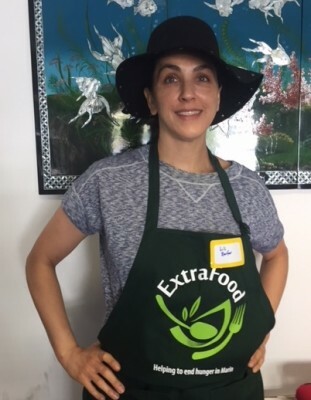 Energetic, cheerful, and a wonderful advocate for ExtraFood, Eva has delivered nearly 6,500 lbs of food since joining the ExtraFood volunteer team last fall. She recently helped us add her hometown grocer, the Novato Safeway on Diablo Dr., to our list of generous food donors. She even ran the first two food trips from Safeway to ensure everything went smoothly. 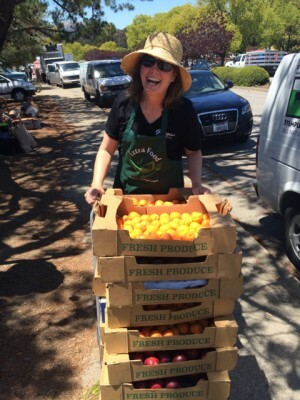 We are so grateful to Eva for her dedication to helping us end food waste in Marin! Sharron has had a huge impact on our organization and the people we serve since joining ExtraFood in December 2013. By recruiting numerous food donors into our program – Mi Pueblo, Huarache Loco, Los Moles, Boudin Bakery, and Marin Coffee Roasters to name a few – she has helped us extend our reach to include some of Marin’s most revered and generous food service businesses. 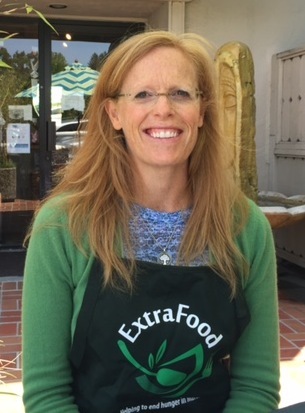 Sharron’s enthusiasm and dedication to helping end food waste and hunger in Marin is contagious and we are so lucky to have her on our team! Linda regularly does pickups from Kaiser Permanente Medical Center and also has jumped in many times to help us cover other donations that go to recipients such as Whistlestop. In her time serving with us she has delivered more than 9,900 pounds of recovered food. And, we are sure our recipients enjoy her cheerful attitude as much as we do when we are lucky enough to see her. 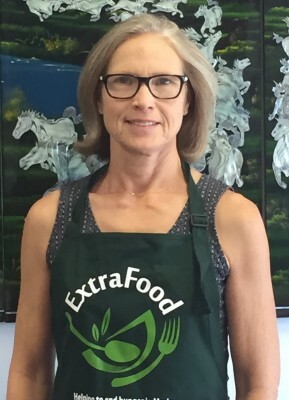 We are so grateful that Linda has chosen to give her time to ExtraFood! What energy! 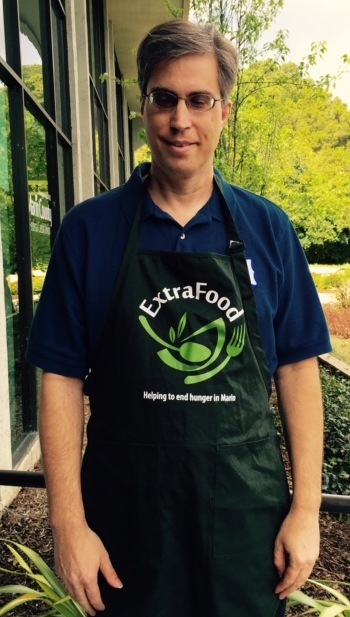 Gary — a tremendous athlete —joined ExtraFood as a volunteer food runner and he has already recovered over 11 tons of food! If that weren’t enough, Gary often caps off his food deliveries with a trail run through one of Marin’s beautiful parks. He’s even offered to make food deliveries on his bike. (If that were possible, we know Gary would be the first to do it.) This week we had many open trips due to volunteers on vacation. One day Gary jumped in and handled 5 of them for us! What a help that was! We are so psyched that Gary has chosen to focus some of his incredible energy on helping us to end hunger and food waste in Marin. An ExtraFood volunteer for nearly two years, Ria knows Noah’s. The “regular” volunteer on our twice-weekly Novato Noah’s Bagels food trips, she has been integral in helping us secure and maintain our donation pickups at this location. We can always count on Ria to keep us informed of all the goings-on at Noah’s, from holiday closures to changes in contact information. We are truly grateful to Ria for her commitment to being a dedicated and reliable link between ExtraFood and our friends at Noah’s in Novato. Wendi joined ExtraFood in August 2017. In less than a year she has already completed more than 100 food trips, recovering nearly 7,000 lbs of food. Wow! She has also become a very familiar face around the office, frequently stopping by to pick up and deliver one of the many generous daily food donations provided by Byte Foods. Wendi’s commitment and dedication is an inspiration and we are so grateful that she is a part of our team. Led by Rotarian Terri C., this amazing group of dedicated volunteers energetically and cheerfully gleans, sorts, and delivers fresh produce and baked goods donations from the Civic Center Sunday Farmers Market on the 4th Sunday of every month. These Rotarians clearly embody Rotary International’s credo: Service Above Self. We are so grateful for their dedicated service over the past 2 ½ years! An ExtraFood volunteer food runner since early 2017, Ned has already delivered nearly 7,000 lbs of recovered food. Not only that, he dedicated countless volunteer hours to helping us up our technology game while on sabbatical from work in Silicon Valley this past year. Now back at his day job, he’s still providing us with invaluable technical support and running out on food trips between hours. We are so grateful to Ned for sharing his expertise, dedication, and commitment to excellence with ExtraFood. Cari P. & Bob K.
Not only do Cari and Bob pick up and deliver generous food donations from Nugget Markets in Novato every week, they are also wonderful ambassadors for ExtraFood. 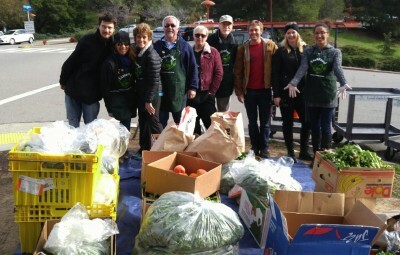 They have recently introduced ExtraFood to their rotary club, working to establish a team of volunteers to glean, sort, and deliver beautiful and bountiful fresh produce and baked goods from the Marin Sunday Farmers Market to recipient organizations throughout Marin. Cari has also helped spread the word about ExtraFood’s work through her wonderful writing in local media. We are honored that Cari and Bob have chosen to share their incredible passion for doing good with us! We can’t get enough of the energy and can-do attitude of this amazing couple. Since joining our volunteer team last fall, they have already completed over 50 food trips. Not only do they jump in to take whatever food trips they can fit into their schedule each week, they are always the very first volunteers to sign up when we publish the coming week’s pickup and delivery schedule. We love that enthusiasm! We can count on Brian to cheerfully respond to our calls for help with spontaneous food trips. Whether we need help transporting a hefty donation from one of our larger food donors, such as Byte Foods, or delivering a lighter load from our friends at SusieCakes and Donut Alley, Brian responds with efficiency and flexibility – sometimes doing as many as 4 trips in one day! It is easy to see how Brian has completed 127 food trips and recovered over 13,000 lbs of food. Wow! A member of our all-important West Marin crew, Susan has been delivering multiple food donations to the San Geronimo Presbyterian Church food pantry every week for nearly 2 years. We are truly grateful for Susan’s dedication to helping bring food to people in the West Marin “food desert,” where residents lack sufficient access to healthy, fresh, affordable food. To date, she has delivered over 14,000 lbs of food to support the West Marin community. Incredible! Kelly H-M. & Lani B. 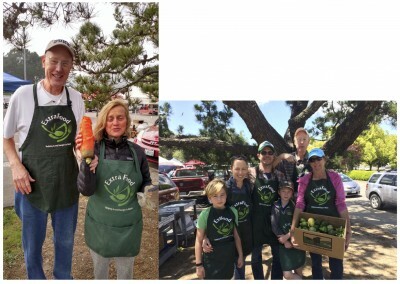 Part of the San Geronimo Presbyterian Church “Green Apron Team,” Kelly and Lani have been working together to deliver food to the church from Nugget Markets in Tiburon every week since 2016. We love how excited they get when they encounter an especially large donation. And they always express their gratitude to the generous team at Nugget for their donations. We are so fortunate to have such kind-hearted, compassionate, and hard-working volunteers helping support the church, an important partner for ExtraFood in West Marin. John began volunteering with ExtraFood last summer and has already delivered 700 pounds of food to serve our community members in need. Woo hoo! He’s especially drawn to our Johnny Doughnuts pickups (with a name like that, how could he not?) and we are so grateful. He has saved us by jumping in to pick up and deliver these sought-after treats so many times we’ve nearly lost count (not really, we know it’s 24 times). John’s many special deliveries over the past year have put so many smiles on so many faces, including ours. Truly awesome! Andrea is such an integral part of our weekend volunteer food runner team, we can’t believe that she’s only been with ExtraFood for just under 2 years. In that short amount of time, she has completed over 100 food trips and delivered 12 tons of food. She proudly “owns” our weekend run from Whole Foods in San Rafael to the San Geronimo Presbyterian Church and always excitedly reports in to our office whenever she gets to deliver an especially large donation. We love Andrea’s cheerful, compassionate spirit! For over 2 years, Linda has volunteered as a regular food runner, as well as supported us tremendously in the office when we need an extra hand. To date, she has completed over 160 food trips and delivered nearly 15,000 lbs of food to our recipient partners in need. She has developed wonderful relationships with our food donors and recipient partners with her can-do spirit and infectious giggle. 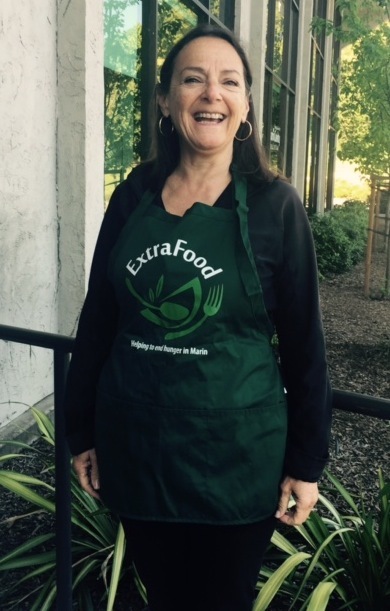 We are so grateful to have Linda on the ExtraFood volunteer team! The ultimate Super Mom, Renee shares her time, energy, and tremendous heart with ExtraFood as both a food runner (with 3 recurring weekly food trips!) and office helper while working at another bay area nonprofit and raising a family. In just 18 months, Renee has already delivered over 13,000 lbs of food and completed nearly 100 food trips. When they are out of school, her kids accompany her on food trips, learning valuable skills about helping those in need. We are truly grateful for Renee’s eagerness to help, excellent problem-solving skills, and sunny personality. 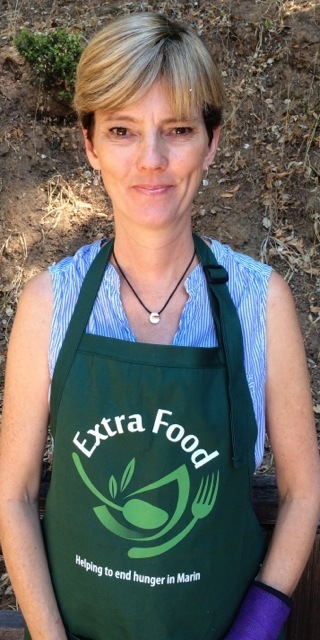 Making her way to ExtraFood just over a year ago with the aim of helping to get nutritious food to people in need, it didn’t take Gillian long to find her groove picking up and delivering extra food from the Wednesday Corte Madera Farmers Market. The farmers and other market vendors have come to know and trust Gillian with their extra food. They know that it will go to those who need it the most. Gillian has also been a tremendous help recently when we needed teams of volunteers to distribute two giant donations of thousands of pounds of prepared food from one of our regular food donors. She jumped right in on both occasions to deliver food to multiple recipient organizations, helping to ensure that none of it went to waste. We are so grateful for Gillian! 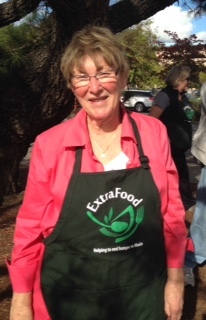 A diligent ExtraFood supporter and advocate, Lynne was our very first volunteer way back in December 2013. Just over four years ago, Lynne picked up and delivered 17 lbs of delicious, prepared food that would have otherwise been wasted. Since then, she has completed over 400 food trips and recovered over 27,000 lbs of food. Most of the food she has delivered has come from one of Marin’s famous farmers markets. 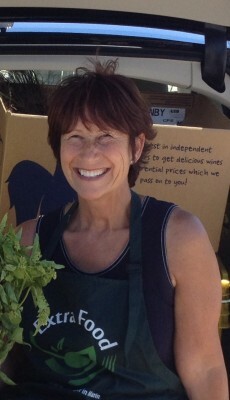 In fact, we can thank Lynne for initiating our partnerships with many of Marin’s farmers markets. We are so very grateful to Lynne for her continued commitment to helping us to end food waste and hunger in our beautiful county. Denise V. & Tom H.
We just love this wonderful husband-and-wife team! Notorious for jumping in and grabbing some of our harder to fill weekly food trips, Denise and Tom have delivered over 1.5 tons of food across Marin County in just over a year. Whether we have a last minute opening or a food trip that’s simply not been taken yet, this dynamic duo knows just when to swoop in and save the day. We’re so grateful to Denise and Tom for helping us to fill in the gaps and ensure that no need goes unfulfilled. To our delight, Lee has quickly become one of our go-to volunteers for filling food trips in the Southern Marin area. Undeterred by the prospect of making multiple stops on a single food trip, she has happily volunteered to do our famous “Southern Marin Coffee Buzz” food trip – which requires picking up donations from up to 6 different coffee shops in Southern Marin –many times. 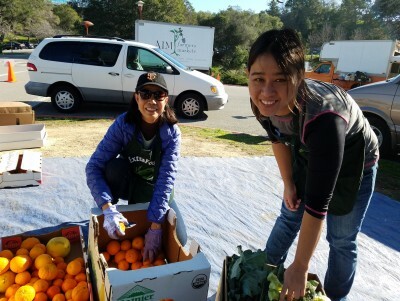 We are so grateful for Lee’s commitment to helping us end food waste and hunger in Marin. Like a ray of sunshine, Lini brightens the days of so many in our county that are struggling to make ends meet. In just under 2 years as an ExtraFood volunteer food runner, Lini has recovered over 6,000 lbs of food to support hundreds of food-insecure individuals and families throughout Marin. Her happy attitude and eagerness to help have made a tremendous impact not only on the people we serve, but also on our generous food donors, as well. In fact, one of our food donors asks for her by name whenever they call in a spontaneous food donation. In the world of food recovery that’s some serious clout! We can’t believe it has only been 5 months since Tobey joined the ExtraFood volunteer team. In that time, she has already completed close to 50 food trips and recovered nearly 750 pounds of food. Wow! Not only does Tobey “own” two weekly volunteer food trips, but she also enthusiastically jumps in to cover spontaneous food trips whenever she can. 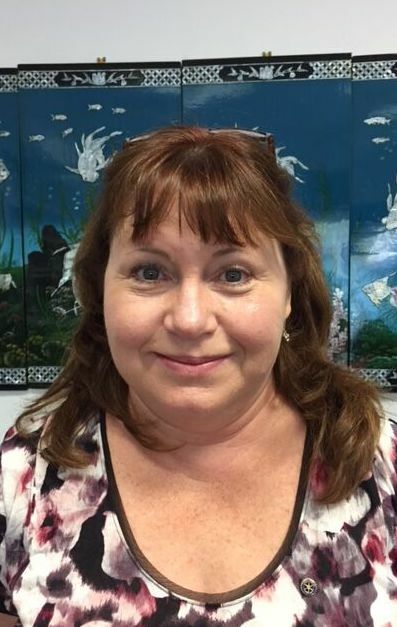 Her willingness to help and insider’s knowledge of the Novato School District helped us tremendously recently when we needed some last minute help with a delivery from our generous food donor, Lynwood Elementary School, to a couple of hard-to-locate recipient sites within the school district. Thanks to Tobey, the donations were delivered in plenty of time for the kids to enjoy their afternoon snacks. We’re so happy that Tobey is on our team! Maija recently celebrated her 1-year anniversary as an ExtraFood volunteer and has already competed nearly 100 food trips, recovering almost 17,000 lbs of food. Amazing! Maija enthusiastically jumps on the sometimes challenging-to-fill, very large baked goods food trips, packing her car to the gills with bread loaves, sliced bread, rolls, and baked treats for our recipient partners in need. She has also helped us numerous times with dividing and delivering tremendously generous (i.e. HUGE) donations that require a team of volunteers to disseminate. We are so grateful for the time and energy Maija dedicates to ExtraFood and the vulnerable people we serve. Nancy and the seemingly tireless 2nd Sunday Farmers Market volunteer team glean, sort, and deliver beautiful and bountiful fresh produce and baked goods from the Marin Sunday Farmers Market every 2nd Sunday of the month. The team is like a well-oiled machine and never miss their deliveries to St. Andrew Presbyterian Church, Cecilia Place Apartments, Rotary Valley Senior Village, and St. Vincent de Paul. We are so grateful for their energy, cheerfulness, and continued commitment to helping ExtraFood feed the hungry in our beautiful county. 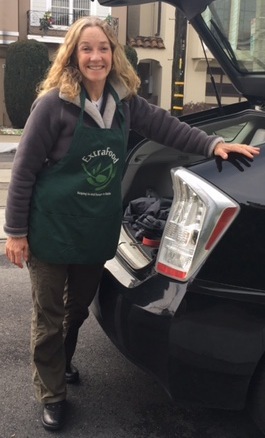 One of ExtraFood’s extraordinary “weekend warriors,” Kate has handled our Saturday pickups from the Novato Community Hospital since she began volunteering with ExtraFood last June. The weekend pickups allow her school-age children to accompany her on her food trips where they can acquire first-hand life lessons about reducing food waste and serving the less fortunate in their community. We feel so fortunate to have Kate and her compassionate children on our team! Neither rain nor wind nor weekends nor Highway 101 traffic can deter the amazing Kass. In any weather, on any day of the week, whether the need is in Sausalito or Novato or somewhere in between, if she’s free, Kass can be counted on to help pick up and deliver food to those in need. Specializing in jumping on spontaneous food trips, Kass is an enormous help to our busy operations team. We are so grateful for her responsiveness, positive attitude, and generous heart. Accompanied by her equally energetic son, it’s hard to believe that this dynamo has only been volunteering with ExtraFood for 4 months. In that short time, Tamara and her son have already delivered over 3,750 lbs of food. They clearly like a challenge and often jump in to pick up and deliver very large donations – including one that topped out at over 800 pounds! We are thrilled to have both Tamara and her son on our volunteer team. Our 2016 Volunteer of the Year, Don’s energy and commitment to ExtraFood has not waned since joining our volunteer team in February 2016. His cheerful attitude and passion for serving our community have touched so many lives. Not only has he competed 575 food trips and recovered over 36,000 lbs of food, he also initiated the process that led ExtraFood to start a new food program for food-insecure students at the College of Marin. The close relationships he’s formed with our food donors and recipient partners benefit us all. We are truly lucky to have such a dedicated community builder on our team! Clearly not one to sit idle, Hilary has already completed more than 15 food trips since joining ExtraFood just 2 weeks ago. Wow! Her energy and willingness to step in to cover volunteer gaps in our food recovery schedule have been so very much appreciated during the very busy holiday season. We know that she will continue to be a wonderful asset to our volunteer food recovery team and we’re thrilled to have her on board. A dependable and dedicated volunteer since ExtraFood’s early days, Lee completed this 750th food trip this week! What an incredible accomplishment! We are truly humbled by Lee’s drive and commitment to making a difference in our community. This amazing husband and wife team is among a number of volunteer “angels” that have generously swooped in to help us during this very busy holiday season. Without a second thought, they have filled in on several very large food trips that have opened up while our truck driver is on vacation. Patrick even traveled to Byte Foods twice in one day to ensure that no food was left behind at their warehouse. We and the many people Patrick and Lucy have touched this holiday season are truly grateful for their commitment to serving our community. What energy! What enthusiasm! It’s only been 9 months since Gary — a tremendous athlete —joined ExtraFood as a volunteer food runner and he has already recovered over 5 tons of food! If that weren’t enough, Gary often caps off his food deliveries with a trail run through one of Marin’s beautiful parks. He’s even offered to make food deliveries on his bike. (If that were possible, we know Gary would be the first to do it.) We are so psyched that Gary has chosen to focus some of his incredible energy on helping us to end hunger and food waste in Marin. Debi joined ExtraFood just 6 months ago and has already made a tremendous impact. Not only is she a terrific food runner, but she has gone above and beyond many times as a tireless advocate for ExtraFood. She has introduced our Founder, Marv Z, to new funders, which is critically important — particularly at this time of year — as we work to achieve our fundraising goals and increase the capacity of our program. She’s also introduced us to new Advisory Board members, new food donors, and new volunteers. She’s a connector, and she does that SO well! We all feel very lucky to have Debi on our team. Joan has a wonderful knack for identifying and picking up unfilled food trips on any given day. She is always eager to help and we were so grateful for her support during the Sonoma and Napa wildfires crisis this October. While our staff was busily connecting generous food donors to Marin-based popup shelters for fire victims, she jumped in to help deliver some of these very important donations. We feel so fortunate to have such an energetic and positive force on our team! She may look unassuming, but we’re convinced that Barbara has superhero strength. A regular volunteer on the generous (i.e., very large) weekly food trip from Trader Joe’s, it is not uncommon for Barbara to pick up and deliver 100s of pounds of food during a single trip. 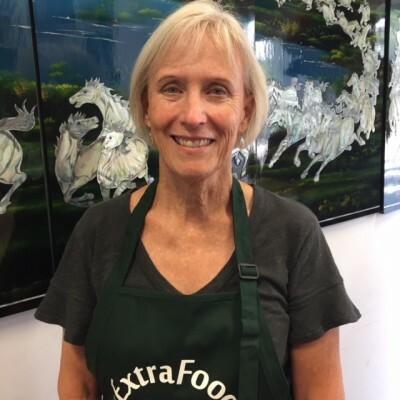 With that kind of muscle, it’s not surprising that Barbara has recovered nearly 14,000 pounds of food in just over a year of volunteering with ExtraFood. Wow! Whatever health regimen she follows, we want in! One of ExtraFood’s very first volunteer food runners (and our first Volunteer of the Week back in January 2014), Curt has been a dedicated supporter and ExtraFood advocate for nearly 4 years. In that time, he has completed over 350 food trips, recovering nearly 14,000 lbs of food. Preferring the consistency of regular, recurring food trips, Curt “owns” three: two weekly trips from Novato Community Hospital and one bi-weekly trip from Beso Bistro in Novato. 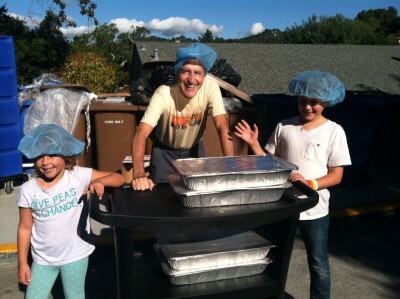 We are truly touched by Curt’s commitment to helping eliminate food waste and hunger in Marin. Talk about a go-getter! 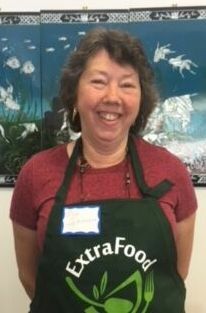 Since joining the ExtraFood volunteer team this January, Robin has completed over 400 (yes, that’s 4-0-0) food trips, recovering over 23,000 lbs of food that would have otherwise been wasted. Wow! A dedicated supporter of our recipient partners in need, Robin can always be counted on to make an extra trip or two or three or four to ensure that a food donation gets delivered. “Well, I’ve got a truck,” is her simple reason for the extraordinary work she does for ExtraFood and the people we serve. We are truly blessed to have Robin on our team. A reliable and consistent volunteer since 2014, we love having Lisa on our food recovery team. Since starting with ExtraFood just one month we opened, she has completed nearly 200 food trips, recovering over 5,000 lbs of food. Our friends at Voyage Carmel know that they can always count on Lisa to bring them delicious treats from Nugget Markets. Thank you, Lisa for your continued support of and commitment to ExtraFood and our mission. A loyal and consistent food runner since ExtraFood’s early days, Marv “owns” several weekly food trips. No matter how large or small a donation, Marv ensures that every food item gets to the right people at the right time. Our food donors and recipient partners have grown so accustomed to his dedication that they ask after him when he’s away on vacation. We are incredibly thankful that Marv has chosen to share his time and generous heart with ExtraFood for the past 3 ½ years. Craig joined the ExtraFood volunteer team 2 years ago as a monthly Sunday Farmers Market food runner with his rotary group. Before long, he had committed to several weekly food trips, delivering baked goods to grateful recipients throughout Marin. To date he has completed over 400 food trips and recovered over 26,000 lbs of food! Woo-wee! We are so grateful to Craig for his tireless dedication to helping fulfill our mission to end hunger and food waste in Marin. We are so proud to salute this week’s Volunteer of the Week, Sarah K.! One of ExtraFood’s very first volunteer food runners, Sarah has been a dedicated member of our team since ExtraFood started in December 2013, epitomizing one our favorite terms, “Regular Volunteer.” In that time she has completed over 300 food trips, delivering a total of over 15 tons of food. Whoa! We, and our grateful partners at Kaiser Permanente, Whistlestop, Starbucks, and Performing are so grateful for her can-do, helpful attitude and long-time dedication to serving our community. An ExtraFood volunteer since 2014, Mary has completed over food 200 trips. In addition, she helped us tremendously this Monday (when the Napa/Sonoma fires were raging) by filling all the open trips for the day. She also made herself available all day to help deliver whatever she could to any fire evacuation shelters in need. That kind of attitude makes everyone’s life better. We are so grateful to Mary! Often accompanied by Adam, Peter has been a regular volunteer food runner for over two years, “owning” three weekly trips and pitching in to cover additional food trips whenever he can. Peter has completed a whopping 485 food trips to date, recovering over 66,600 lbs of food! A standing ovation goes to Peter for his commitment, reliability, big heart, and for passing along these tremendous values to the next generation! 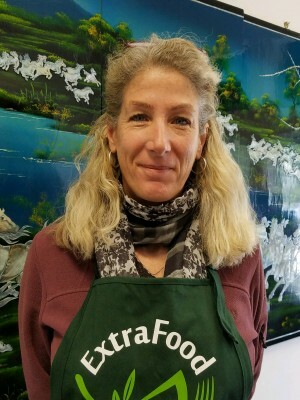 Since joining ExtraFood a year ago as an AIM Sunday Farmers Market volunteer, Christine has consistently helped our “2nd Sunday” farmers market team glean, sort, and deliver food from this very important food donor. This past Monday she stepped up to the plate and completed three much-needed trips, delivering 350 lbs of produce, prepared food, and dairy to New Beginnings from Terra Linda Safeway, Marinwood Market, and Woodlands Market. With so much food, Christine almost had to drive with it on her lap to make the deliveries! Thank you, Christine! Since joining ExtraFood in April of this year, Ginna has made over 50 food trips, sometimes doing 5 trips in one week! Ginna is completely reliable; when she signs up for a trip, she always follows through, often accompanied by her husband. Ginna is so supportive that she marched with the ExtraFood group in the Novato fourth of July parade! We salute Ginna’s dedication to our cause, our partners, and the people we’re serving together. It didn’t take Ras long to jump in and take “ownership” of two weekly food trips from Nugget Novato and Starbucks in downtown San Rafael. To date, she has completed over 115 food trips, delivering 8,700+ pounds of food. All while managing a high-level corporate job. Now that’s dedication! Often doing trips with her son, Christine joined the team in July, and she has jumped right in with both feet! Not only has she done a number of Starbucks, Marinwood Market, and Safeway Community Markets trips, but also last Sunday she volunteered on our team at the Civic Center Farmers’ Markets. She was a true star there, and everyone was delighted to work with her. She’s already delivered more than half a ton of food for people in need! We all feel fortunate to have Christine on our team. Steve has found the perfect food trip to “own” as a regular weekly trip—a pickup from our friends at Byte Foods. He works near Byte, so he’s easily able to jet over there, pick up their wonderful donations, deliver them to many, many people in need, and get back to work on time. And sometimes he pitches in and does extra pickups from Byte as well! We’re so grateful for Steve’s dedication to ExtraFood, our partners, and the people we’re serving together. 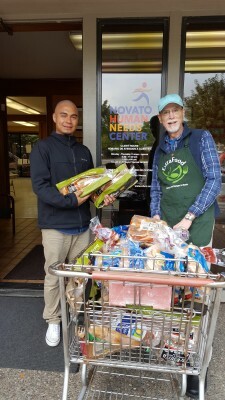 Ned went above and beyond this past week when he received a big, unexpected donation of 4 large bags of bread in addition to the regular prepared food donation from our friends at Woodlands Market in Kentfield. Hearing from our Operations staff that bread was not a need for the recipient organization he was delivering the prepared food to, he graciously traveled to two of our other recipient partners in the Novato area who were delighted to receive such a terrific donation! We’re grateful for Ned’s ongoing commitment to ExtraFood and the people we’re serving together, his invariable enthusiasm and his extra effort! Robin joined the ExtraFood volunteer team this summer and is already making a big impact. In addition to jumping in on weekly food trips, she was among the amazing group of volunteers that helped sort and deliver Safeway Community Market’s 3 ton donation last week. She is also generously volunteering her organizational skills in the ExtraFood office. Lucky us! What a week it was for Maija! In addition to her regular, weekly food trip, she was one of several amazing volunteers that helped unload, sort, and deliver over 3 TONS of donated food from Safeway Community Markets. Maija brought 1,000+ lbs of that food to our friends at the North Bay Children’s Center. In addition, she saved us on several occasions this week, jumping in to take a number of hard-to-fill spontaneous food trips. We are so grateful to Maija for her generous spirit, energy, and positive attitude! 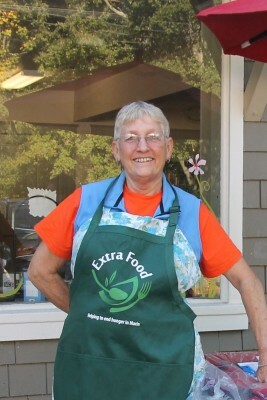 This week we honor and remember Karen S., a dedicated member of the ExtraFood volunteer team, who sadly died last week. 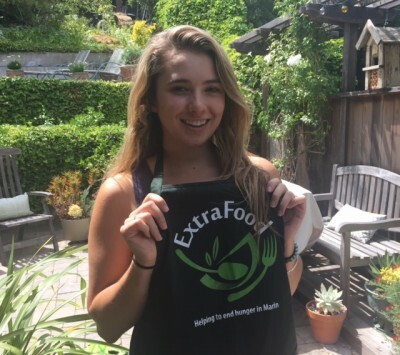 A passionate supporter of ExtraFood and our mission to end food waste and hunger in Marin, Karen completed over 200 food trips and recovered 5,600+ lbs of food since she joined the team in January 2015. We are humbled to have benefited from Karen’s commitment to making a difference in our community. Her family has generously asked that in lieu of flowers, donations be made to ExtraFood. A truly reliable volunteer, Lynn H. picked up a “regular” weekly food trip delivering from MH Bread and Butter to our friends at SparkPoint Marin soon after she started volunteering with ExtraFood last fall. She’s efficient, dependable, and (much to our detail-loving Operations Coordinator, Carrie’s delight) provides the most comprehensive food trip reports after every food delivery. 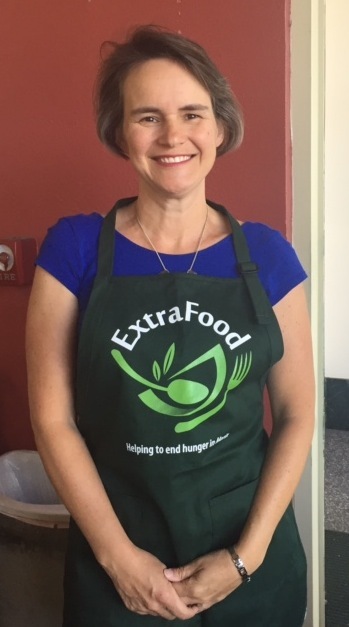 We are so thankful to have Lynn on the ExtraFood volunteer team! In less than 6 months, Denise and Tom have already delivered over a half ton of food across Marin County. Starting out as volunteer food runners at the Sunday Marin Farmers Market, they have quickly joined the ranks of those special volunteers that jump in to fill some of our harder to fill weekly food trips. Just when we think no one will take a food trip, here come Denise and Tom to save the day. We’re so grateful to them for helping us to fill in the gaps and ensure that no need goes unfulfilled. We are pleased to honor Linda for her consistent support for the past year and a half as one of the happiest volunteer food runners you’ll ever meet. We are inspired by her energy, enthusiasm, and positive attitude. Linda picks up (large Costco-sized!) cartfuls of baked goods donations from Costco each week and happily delivers them to our friends SparkPoint Marin. She also picks up other food donations on occasion, helping us tremendously with filling these important trips. 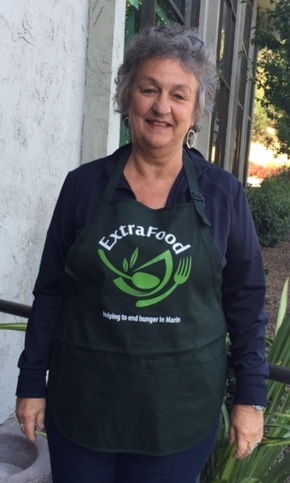 We are so grateful to have Linda on the ExtraFood volunteer team! 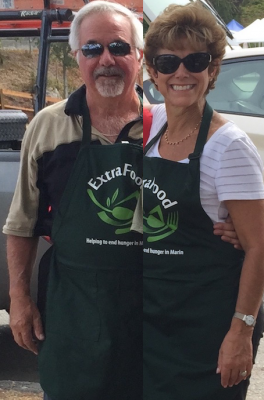 Kimberly K. & Chuck K.
Since joining ExtraFood just over a year ago, the dynamic husband and wife team of Kimberly K. and Chuck K. has completed a combined total of 135 food trips and delivered over 9,600 lbs of food. Wow! Kimberly came to us first and promptly took “ownership” of multiple weekly food trips from MH Bread & Butter, Nugget Market in Corte Madera, and Donut Alley. Before long, she enticed Chuck to join her in the fun. We are so grateful to Kimberly and Chuck for sharing their enthusiasm and giving spirits with us. 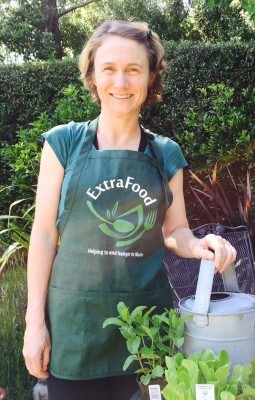 It’s hard to believe that Sarah has been volunteering with ExtraFood for only 6 months. In that short time, she has already completed 45 food trips and delivered over 1 ton of food! Within a few weeks of joining ExtraFood, she became a regular member of the Thursday Civic Center Farmers Market team, delivering some of the country’s best produce to our friends at St. Vincent de Paul every week. Committed to helping whenever she can, Sarah always fits in at least 1-2 additional food trips into her busy weekly schedule. We are so grateful to Sarah for her energy and dedication to our cause. In just over a year, Lini has traversed Marin County nearly 50 times on behalf of ExtraFood, delivering over 4,000 lbs of food to seniors, families and children in need. It’s not unusual to see Lini traveling all the way out to West Marin deliver carloads of donated food. We’re so grateful to her for dedicating so many clicks on the odometer to help feed the hungry in our county. We just love Gene S.’s enthusiasm and “get in done” attitude! It’s not unusual for him to call into the ExtraFood office declaring, “I have some time today. What can I do to help?” Oh, how that’s music to our ears! With over 170 regular, weekly food trips, as well as spontaneous food trips coming in every day, we can always find ways to use Gene’s generous offers to help. 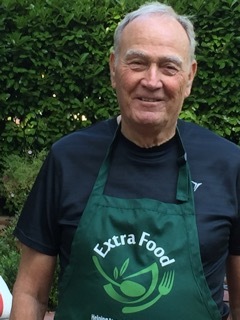 We are truly grateful to Gene for choosing to spend his free time helping ExtraFood to end hunger and food waste in Marin. 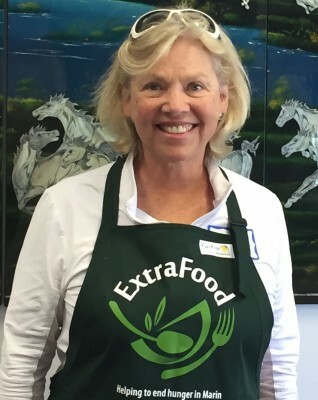 One of the longest-serving and most dedicated volunteers in the ExtraFood family, Lynne S. leads our volunteer team at the Thursday Civic Center farmers market and is the sole volunteer at the Friday Mill Valley farmers market. 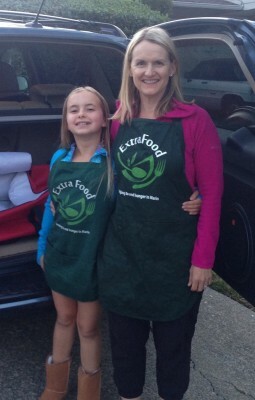 Since ExtraFood’s early days she has been recruiting food donors and recipient partners. In fact, we can thank Lynne for our presence at many of Marin’s farmers markets. To date she has completed over 350 food runs, delivering an incredible 23,000+ lbs of food! We are so grateful to Lynne for sharing her big heart and passion for working to end food waste and hunger with us. Undaunted by challenges, Cari P. & Bob K. cheerfully manage generous weekly donations from Nugget Markets, sometimes making deliveries to multiple recipients on a single food run. Cari has helped spread the word about ExtraFood’s mission and milestones through her wonderful writing in local media. 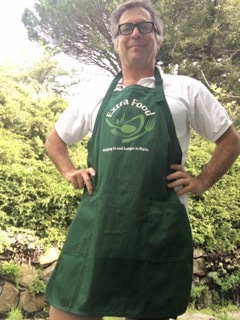 Rumor has it that both Cari and Bob have also been known to wear their ExtraFood green aprons on personal errands simply to provide exposure for ExtraFood. What a wonderful pair of ambassadors for ExtraFood! We are honored that they have chosen to share their time, energy, and talents with us. Quick to respond to our calls for help filling spontaneous food trips as they come in, Brian M. has “saved” us on numerous occasions. Whether we need help transporting a hefty donation from one of our larger food donors, such as Costco and Byte Foods or delivering a lighter load from our friends at SusieCakes and Donut Alley, Brian responds with efficiency and flexibility. In just a few short months, Brian has completed nearly 30 spontaneous food trips, recovering almost 3,000 lbs of food. Deborah M., Lisa D., Kamala T., and Ellen M.
In addition to making weekly and occasional volunteer food runs, Deborah M., Lisa D., Kamala T., and Ellen M. comprise the 2017 ExtraFood Volunteer Appreciation Event Planning Committee. Dedicating many hours to attending planning meetings, purchasing supplies, and setting up and tearing down for the event, these four have truly outdone themselves to help create a fun and memorable celebration honoring ExtraFood’s volunteers. We could not have done it without them! Congratulations to our Volunteer of the Week, Lee S.! Lee has been a stalwart volunteer since ExtraFood’s early days. With over 600 (!) food trips under his belt and four recurring weekly food trips from Marin General Hospital, Lee still finds time to help us in the office with keeping our volunteer paperwork up to date. His friendly attitude and drive to help are an example to us all. Thank you, Lee, for your dedication to ExtraFood and the vulnerable people we serve. Our Volunteers of the Week are Cathy and Ron M. They reached a milestone last week: 500 food trips completed! Wow! Some of their favorite pickups are from Arizmendi, Whole Foods San Rafael, Kaiser San Rafael Medical Center, and Marin General Hospital. They’re always passing on important information from their trips, which helps us to improve our service to our partners. They’ve been volunteering for ExtraFood for nearly 3 years—we’re so grateful for their long-term dedication to ExtraFood, our partners, and the people we’re serving together. 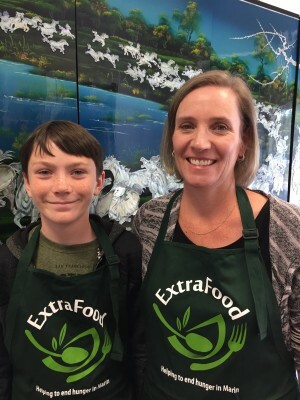 Siobhan became an ExtraFood volunteer last September, and after she tried out a few food trips she landed on the Friday Marinwood Market to San Rafael Rotary Manor trip and has been doing it ever since. We so appreciate our “Rockin’ Regulars”, those volunteers who “own” a food trip and create consistency and reliability for our food donors and recipients. Siobhan has completed 75 trips so far and has rescued nearly 3 tons of food! Gary has been a volunteer for just a short time, but he sure has shown great enthusiasm for this work! This week Gary made a delivery of baked goods to College of Marin’s pop-up food pantry just in time for KPIX-TV News to film a segment on ExtraFood’s work there. He’s been known to do a food trip out to San Geronimo and just keep going with a run through Samuel P. Taylor State Park afterwards. And he’s come by our office to share ideas on how we can improve our volunteer program. We’re so psyched that Gary joined our team! Robin joined us in January and has already become an important part of our team. When she finishes a food trip it’s not unusual for her to call in to see if there are other trips she can do while she’s out and about. She has also made several trips from one donor to one or more of our recipient partners in the same day! One of our recipients even took time recently to let us know how wonderful she is. Our volunteers are our ambassadors in the community and we’re honored that Robin is representing us so well! Our Volunteer of the Week is Sarah S. Sarah is an absolutely stellar volunteer, joining us in the very early days of ExtraFood. With great enthusiasm and energy she fits in a regular commitment on the Thursday Civic Center Farmers’ Market team plus the Friday Novato Unified School District food trip. Recently she added the Bon Appetit Management Company trip and manages to fit that one in before volunteering at the Thursday Market! Rescuing a staggering 23,000 pounds of food on 272 food trips, she has accomplished so much in her three years with our team. We are over-the-moon grateful for Sarah’s tremendous dedication to ExtraFood. After doing her very first food trip, Janet decided to commit to owning a regular weekly trip from Nugget Markets in Corte Madera to the People’s Inter-Cities Fellowship in Marin City. She has recovered and delivered more than 4 tons of food since she joined our team 2.5 years ago. Owning a regular trip is an important building block of our program and we are grateful to Janet for her long-term dedication to our cause! Craig has been volunteering for ExtraFood for 18 months, and this week he reached the 300-trip milestone! And he’s delivered nearly 10 tons of food. Wow! He regularly picks up donations from Terra Linda Safeway, Ponsford’s Place- Bakery and Innovation Center, Arizmendi San Rafael Bakery & Pizzeria​, and Flour Craft Bakery​ and delivers to San Geronimo Valley Community Center, Novato Human Needs Center, San Geronimo Presbyterian Church, Maria B. Freitas Senior Community, Center for Domestic Peace​, and Martinelli House. We’re so fortunate to have Craig on our team! Ellen has been a core member of our team for three years and we’re SO grateful! Last week she became one of the very few volunteers who has completed 400 food trips—she has recovered more than 25,000 pounds of food! And last week she also stepped in to lead our Sunday Marin Farmers Markets team. Ellen is truly an MVP for ExtraFood and we’re delighted to honor her this week. 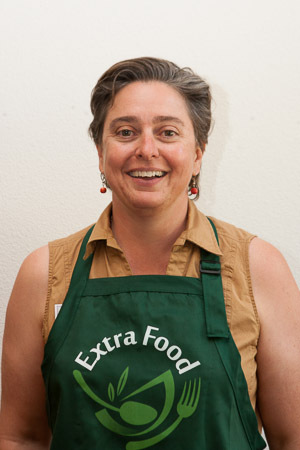 Marcia was one of ExtraFood.org’s first volunteers, having found out about us through our sister organization in San Francisco, Food Runners SF. She did her first food trip for ExtraFood in January 2014, only one month after ExtraFood was launched. Marcia works for one of our recipients, Center Point, Inc., and she has been able to fit food trips in whenever she can. We appreciate her longtime commitment to ExtraFood and the people we’re serving! Renee joined ExtraFood 6 months ago and she almost immediately signed up to “own” the regular Andy’s Local Market to Marin City food trip each Friday. She’s a working mom so it’s amazing that she still finds time to volunteer for us. Renee has already delivered 5500 pounds of food for those in need! The steady-as-ever team of Janet and her husband, Chuck, has been committed to the weekly Marinitas and Insalata’s food trips ever since joining ExtraFood three years ago. Together they have completed 207 trips and they remain two of our most long-standing, dedicated volunteers. We are honored that they continue to share their volunteer time with ExtraFood! With a strong belief in our mission, Jannick joined ExtraFood in July. She has been busy with her regular Noah’s Bagels trips ever since, as well as other trips that she picks up when she can. She’s a great communicator, frequently passing along ideas of how to streamline her food trips, as well as offering suggestions for potential new recipients. We’re delighted to have Jannick on our team—a super duper volunteer! 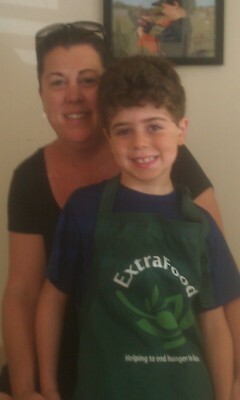 Antonina joined ExtraFood.org 16 months ago and has been a huge supporter of our mission! She has owned the regular Nugget Markets Tiburon-to-Marin City food trip for well over a year, and has recovered 11,000+ pounds of food while completing 53 food trips involving a number of donors and recipient partners! This week she graciously agreed to take extra time on her Nugget Markets trip and be filmed by the KPIX-TV crew. We’re grateful to Antonina for being such a reliable, dependable and all-around great volunteer! Lisa has been a loyal volunteer for 3 years, starting just a month after ExtraFood was launched. She will reach 150 food trips completed in the next few weeks, has rescued more than 2 tons of food and has been the regular volunteer for the Saturday Corte Madera Nugget Market trip for over a year. We so appreciate Lisa’s reliability, consistency and dedication to our cause! Angela completed her first food trip for ExtraFood 16 months ago and has been committed to her regular Thursday pickups, from Taqueria Mi Pueblo and MH Bread & Butter, for almost all of those 16 months. That’s a total of 88 trips and more than 1 ton of food! She recently stepped down from her regular routes because of a work conflict but she will continue to sign up for trips when she can. We honor Angela this week for her faithful, longtime, regular-as-clockwork dedication to those routes—she’s done a ton (!) of wonderful service for those in need. Alison joined ExtraFood.org ten months ago after riding along with a friend on one of our food trips. She quickly signed up to “own” a regular trip once every week—from Nugget Markets Corte Madera to the Enriching Lives through Music program—and after many months of doing that trip, she has recently switched to another regular trip. We’re grateful to be able to rely week-in and week-out on Alison’s service for those in need! Barbara joined ExtraFood in September, but in less than 4 months she has already completed 74 food trips! Wow! She was in great form this week when she arrived at a donor to discover a much bigger donation than we expected. She then delivered some of the donation to one of our recipient partners, circled back to collect more food, and proceeded to deliver to 4 more locations! That’s fortitude for you. We are so lucky to have Barbara’s enthusiasm, drive and energy on our team! 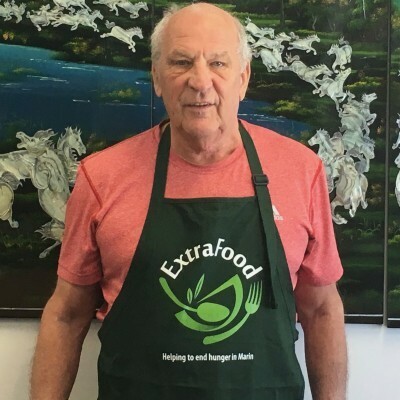 Hank has been volunteering for ExtraFood.org for two years, has a great sense of humor, lots of enthusiasm and last week he completed his 300th food trip! Hank regularly does the twice-weekly Fairfax Market-to-San Geronimo Valley Community Center trip. And, he’s often spreading the word about ExtraFood to his friends and recruiting new volunteers. Hank is such an important member of our team and we’re delighted to honor him this week for his huge contributions to ExtraFood and our community. She’s better known as Ras, and Ras is on a roll! Having joined ExtraFood not even 2 months ago, she’s already completed 32 food trips and shows no signs of slowing down. This week she took on 8 trips! 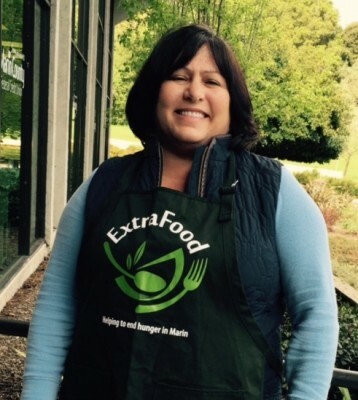 Not only is she a great food runner but she also got ExtraFood registered for Genentech’s workplace giving program, which connects us with potential financial donors and volunteers at Genentech. We love her enthusiasm and we’re lucky to have her on our team! 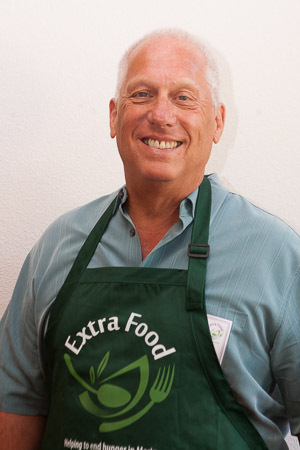 2016 Volunteer of the Year - Don C.
Andrew has been a huge help to ExtraFood because he “owns” the Terra Linda Safeway to Warner Creek Senior Housing food trip every Wednesday! So far he has recovered over 3600 pounds of food. We’re lucky to have him on our team! Elaine joined ExtraFood one year ago and has been volunteering consistently ever since. She takes on many of our Novato food trips—so helpful as we need more volunteers in the Novato area. She has rescued 2.5 tons of food and has completed 75 food trips for those in need! 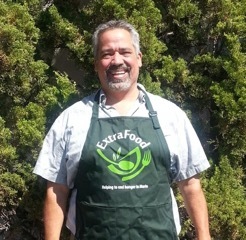 Ernie joined ExtraFood in May 2014 and became a regular member of ExtraFood’s Thursday Civic Center Farmers’ Market team a year later. He has rescued nearly 8,700 pounds of food and has completed 103 food trips! He’s utterly reliable, a delight to work with and a fabulous team player. We salute you, Ernie! Lynne has been a very active volunteer for a year and a half! She has completed ~160 food trips, has recovered more than 1 ton of food and has an established weekly routine for us. She does four regular trips each week, picking up from Noah’s Bagels (Larkspur, CA), SusieCakes Bakery, Chipotle Mexican Grill and MH Bread and Butter Bakery. Yowza! That’s a beautiful thing in the ExtraFood world—we so appreciate volunteers who “own” regular trips and make everything simpler, just as we so appreciate volunteers who sign up for open trips online or via text message. “It takes a village” to enable our county-wide food recovery program to operate throughout the county, free of charge, 365 a days a year. Delighted to have Lynne on our team! 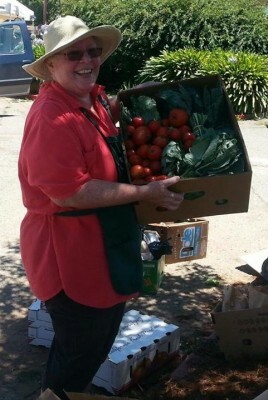 Sandy is such an important contributor through volunteering for the Wednesday Corte Madera Farmers’ Market food trip. She took on this trip in August 2015, committing to a weekly pickup at a time when we were having difficulty finding a regular volunteer for the trip. Sandy has continued her commitment to this market, establishing relationships with the local farmers who donate and bringing some of the best produce in the world to people in need. Lynne, our 2014 Volunteer of the Year, is among our longest-serving, most dedicated, and most impactful volunteers. She continues to lead the Thursday team at the Civic Center farmers’ market, is the sole volunteer for the Friday Mill Valley Farmers’ Market, and has delivered more than 19,000 pounds of recovered food! She is big-hearted, passionate about helping to solve the problems of food waste and hunger, and last week reached a milestone: 300 food trips completed. We’re so lucky to have Lynne on our team. Morgan has completed 116 food trips since he began volunteering for ExtraFood. He’s so reliable, never fails to report on his trips, and has been our loyal Marin General Hospital to Homeward Bound of Marin’s New Beginnings regular every Thursday for more than 2 1/2 years! He’s got a super attitude, a great smile, and a huge loyalty to ExtraFood. We’re so grateful to have Morgan on our team! Lee is the first ExtraFood volunteer to complete 500 food trips! He does 4 regular weekly trips and shows no signs of slowing down. And, he helps us out in the office every week. We are so grateful to have Lee’s passion, commitment and loyalty to our cause! Go Lee! 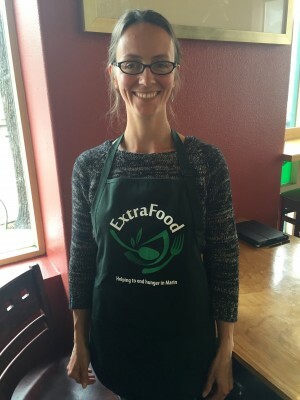 Sarah joined ExtraFood just after we started our county-wide food recovery program—one of our original volunteers! So far, she’s completed over 200 food trips and delivered nearly 12 tons of food for those in need! This week she also did some last-minute fancy stepping for us, figuring out a way to switch food trips with another volunteer and helping us avoid a problem. Sarah is one of a number of parents who often bring their kids with them—showing them the truth about the need in Marin and helping them be part of the solution. Peter has been a volunteer since January 2015 and has delivered nearly 14,000 pounds of food in 161 food trips! He has a regular weekly trip from Nugget Markets Corte Madera to San Rafael Rotary Manor, and this week he also managed to fit in 4 additional trips around the county for those in need. We’re grateful for Peter’s longtime dedication and fabulous volunteering! Marv has been with us since our third month of operation, February 2014. Through his 200 food trips he has recovered and delivered more than 10,000 pounds of food. 5 tons of fabulous food! Marv tells us that it feels good to be delivering food to those in need, and that he also enjoys developing relationships with our food donor and recipient partners. We’re delighted to have Marv’s long-time and continuing dedication to our mission, our partners, and the people we’re serving together. Teresa joined ExtraFood a few months ago but almost immediately jumped in to “own” a regular trip. That’s a pre-scheduled trip that happens the same day and timerange every week. Everyone would love to pick up Comforts’ great food each week and deliver it to the seniors at Bennett House but you’d have to arm-wrestle that trip away from Teresa! She also does a bi-monthly regular trip from Bon Appétit Management Company to Rotary Valley Senior Village. And on top of all that, she just reached the 50-trip milestone! We feel lucky to have Teresa on our team. Elise answered an ad for ExtraFood volunteers on NextDoor, and immediately took on the regular Wednesday evening Fairfax Community Farmers’ Market trip with her two daughters. They are much appreciated at Bennett House, a Mercy Housing California property, where the seniors look forward to their weekly delivery of fresh produce from this delightful mother-and-daughters team. Dan was a trooper last week! He picked up two Byte Foods donations, one which involved such a large donation that he had to double back for the second half after delivering the first half. In the last 10 days he delivered Byte’s generous donations to 7 recipients and still managed to fit in Nugget Markets and Taste Kitchen & Table pickups as well! We are so grateful for Dan’s support during a challenging week of 120+ food trips! Last week Craig was a tremendous help, completing 9 food trips, 7 of which were spontaneous trips (ie. when an unscheduled donation is offered to ExtraFood) plus his 2 regular trips. Also, he has been a terrific contributor to our work at the farmers markets, helping out many times at the Thursday, Friday and Sunday markets. Craig is simply a fabulous volunteer! We’re so grateful he’s on our team. Curt has been a very active volunteer since joining our team in January 2014. With 248 food trips under his belt and 11,000 lbs of rescued food delivered, he shows no signs of slowing down! When Novato Community Hospital recently joined us as a food donor, Curt jumped right in and offered to do the twice-weekly food trips from NCH. He also does a weekly trip from the Novato Unified School District and a biweekly trip from Beso Bistro, one of our Planned Giving donors in Novato. We are hugely grateful for Curt’s dedication to ExtraFood, our partners, and the vulnerable people we are serving together! Karen jumped right in after joining our team and claimed a regular trip—the Wednesday trip from Novato Nugget Markets to Novato Youth Center. It makes everything so much simpler for us and our partners when our volunteers “own” regular trips. It creates consistency, reliability….and our donors and recipients love that familiar face! We celebrate you this week, Karen! This dynamic duo are longtime regulars on the Monday Whole Foods trip, the Friday Arizmendi trip and sometimes the Sunday Arizmendi trip as well. This week they’re trying out the new Sunday Costco trip and we couldn’t be more confident that they’ll handle it with aplomb. They’ve delivered nearly 350 donations and have rescued more than 28,000 pounds of food in their two years on our team! They’re fabulous communicators, always passing on important information from their food trips, which helps us to improve our service to our partners. We’re hugely grateful for their long-term dedication to ExtraFood.org, our partners, and the people we’re serving together. Steve recently joined the ExtraFood.org team but has already landed the perfect food trip. He works near Byte Foods so he’s been able to jet over to their warehouse, pick up their wonderful donations, deliver them, and get back to work before anyone misses him! We called on Steve for several spontaneous pick-ups this week in addition to his regular Byte pickup. Plus, Steve is recruiting more volunteers for us. Many thanks to Steve for his great energy and enthusiasm! Last week Matson pitched in while we were down 2 staff members; he did food trips all over the county and helped out at two farmers’ markets, joining the team at the Thursday Marin Farmers Markets and flying solo at the Mill Valley Farmers Market. And, to top it all off, he delivered 300 watermelons to the People’s Inter-Cities Fellowship in Marin City! Catching occasional food trips when he’s home from college, he’s managed to rescue a total of 2500 pounds of food thus far. We honor Matson’s great attitude, big smile and support when we most need it! Julie has been an ExtraFood volunteer for almost 2 1/2 years, and so far she has rescued more than 2 1/2 tons of food. Yowza! We’re grateful to Julie for her long-time dedication to our cause, our partners, and the vulnerable people we’re serving together. 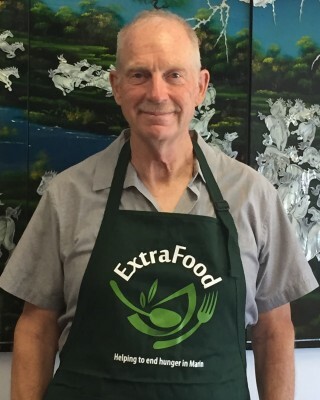 Peter has been volunteering for ExtraFood.org for 16 months and has amassed a total of 264 food trips and 33,000 lbs of rescued food! Every Tuesday he plans his route carefully so he can accomplish 5 regular trips in one morning. This past Monday, he took his grandson, Adam, along with him on three trips. What a great grandpa! Kimberly is a relatively new volunteer, but she sure earned her stars and stripes last week! She did a last-minute trip from a donor, but then found that they had double the amount of food we expected! She is such a team player that she didn’t even bat an eye at delivering to three additional recipients: Mill Street Center, Voyager Carmel Center and Center Point. We’re grateful for Kimberly’s great attitude and willingness to go the extra mile(s) for ExtraFood, for our partners, and for the people we’re serving together. Kelly has been a regular on a Nugget Market food trip to San Geronimo Presbyterian Church for many months, partnering with ExtraFood Volunteer Lani. And, she has also volunteered to handle many other trips heading out to the church, an important partner for ExtraFood.org in West Marin. We are grateful to have Kelly’s energy on the ExtraFood team! 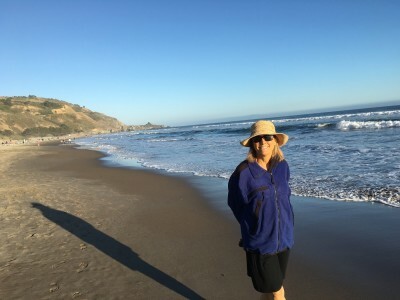 Kathy joined us only 3 months ago but has immediately made a big difference, doing the regular Wednesday Corte Madera Nugget trip to Marin Community Clinics’ HealthHub in the Canal. She has already rescued 1800 pounds of food! Kathy is an excellent communicator, eager to help, and always energetic. She even had the time to send us a video clip about why she likes to volunteer for ExtraFood.org for our recent video celebrating our volunteers (here). We’re so glad to have Kathy on our team! Jeff leads the Rotary Club of Terra Linda team for ExtraFood.org at the Civic Center Farmers Market on the third Sunday of every month. He has a great group of volunteers to draw from for his monthly team. We’re grateful to Jeff for his ongoing leadership and his commitment to getting all that great produce to our recipients! Lia joined ExtraFood in April 2014 as part of her high school Climate Change Project’s action plan. This week, newly home from college, she jumped in at the last minute and took on two big trips, picking up terrific donations from Nugget Markets Novato and San Rafael City Schools. We’re delighted to have Lia in the ExtraFood family! Leah is a new volunteer, but she’s a warrior! She immediately jumped on the Terra Linda Safeway trips because they fit nicely into her schedule. Picking up every Monday, Thursday, Friday and Saturday, she has already recovered 1200 pounds of food! We’re lucky to have Leah’s great energy, efficiency and enthusiasm on our team. Lisa has been with us for a year and she’s already recovered and delivered more than 3,300 pounds of food for those in need! We are so grateful that she does 4 regular trips every week, picking up from Kaiser San Rafael Medical Center, Lotus Cuisine of India, Byte Foods and Safeway. And on top of all that, she has contributed huge amounts of time and creativity on our Volunteer Appreciation Event Committee. What a volunteer! Kamala is a longtime ExtraFood volunteer, and does a regular food trip from MH Bread and Butter to Martinelli House (a Mercy Housing California property) every week. And she’s also on our Volunteer Appreciation Event committee, contributing great ideas and positive energy for our May 22 event. Such a reliable, thoughtful, and generous volunteer! Ellen is one of our veteran volunteers who contributes to ExtraFood in so many ways. She’s a longtime food runner, completing 283 food trips to date and rescuing a total of 18,000 pounds of food. And twice in the last few weeks she has jumped in at the last minute to lead our team at the Sunday Civic Center Farmers’ Market. She was one of the founding members of the Farmers’ Market team so she’s as experienced as they come! Enthusiastic, funny, and full of creative ideas, Ellen is also playing an important role in planning our upcoming Volunteer Appreciation Event on May 22. Simply an all-around terrific volunteer—we feel so lucky she’s on our team! Deborah is an energetic volunteer, full of creative ideas. She brings her great energy to recruiting food donors, including College of Marin, which has proven to be a consistent and reliable donor. And in addition to doing food trips, she has also been part of our Volunteer Appreciation Event planning team for the past two years. Her input helped shape a great event last year and another great one coming May 22! Sharron has been with us since the very beginning, December 2013, and she’s made a HUGE difference. How? By recruiting numerous food donors into our program, such as Mi Pueblo and El Huarache Loco. Last week, Los Moles San Rafael began their weekly donations—another Sharron success. We have far more requests for food than we can fulfill, so gaining the commitment of new food donors is our top priority. We’re so lucky to have Sharron evangelizing businesses to join with us to battle hunger in Marin! Don has been with us for only 2 months but like a racehorse, he was fast out of the gate, gobbling up food trips, juggling up to 12 food trips per week without breaking a sweat. He’s already delivered more than 2500 pounds of food! And, since even a 10-pound donation can make a huge difference in our community—that could be 20 servings of a main dish from a wonderful Marin business—we should point out that Don has already completed 49 trips. 49 donations to those in need! Since her first trip in February 2014, Sarah has rescued 12,000 pounds of food! She’s a committed member of the Thursday Civic Center Farmers’ Market team, working quickly and collaboratively to gather, sort and deliver the vendors’ generous donations. And that’s not all. She’s also the regular volunteer for the Novato School District pickup every Friday. And yesterday she stepped in to lead the Sunday Civic Center Farmers’ Market team! What an impact Sarah has made for ExtraFood, our partners, and the people we’re serving together. Judy W. and Elizabeth F.
These two generous women from West Marin are a great team and do all their food trips together. They started out on trips going to the San Geronimo Presbyterian Church but recently added the regular College of Marin trip to Bennett House in Fairfax. Because of the pickup time, that one has been challenging to find a regular volunteer, but now we have two, and what a team they are! We’re grateful to have this dynamic duo helping us serve the hungry in our community. Denise does the regular Andronico’s pickup on Fridays and has rescued almost 5,000 pounds of food since she joined our team. And when she’s unavailable she always finds a replacement! What a team player! Lani has been with us a little over a year, and in that time has delivered more than 3.5 tons of food! She’s been a regular on a number of trips, and as a native of Hawai’i always brings the aloha spirit—the joyful sharing of life energy—to everything she does. 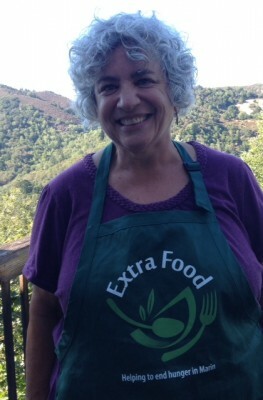 She volunteers on trips going to San Geronimo Presbyterian Church, an important partner for ExtraFood in West Marin. We are grateful for Lani’s wonderful work and feel lucky to have her on the ExtraFood team! Dan is the fearless team leader for the Rotary Club of Novato Sunrise team that works the Marin Farmers Markets for us the first Sunday of each month. Two Sundays ago the weather and other factors (including a flat tire!) put our work at the market at risk for a time. But Dan kept his cool and rallied his team to brave the elements and deliver lots of great produce for our recipients. Hats off to Dan for his leadership and dedication! He certainly lives Rotary International’s credo: Service Above Self. Dan has been volunteering for ExtraFood since our early days. He frequently has brought his kids along on food trips and is one of many ExtraFood parents passing along wonderful, community-driven values in this way. He recently took on the regular Wednesday Marin General Hospital to Marin City food trip. Volunteers “owning” regular trips find they develop a deeper connection with the food donor and the recipient. And, it makes everything simpler. We are so grateful for Dan’s continued loyalty! Kristen is enthusiastic and passionate about giving back to her community, especially since her kids attended schools that emphasized community service. Last summer she enlisted her son and daughter as volunteers and they helped us out on some food trips and at the Civic Center Farmers’ Market. She’s a terrific communicator, helps out in a pinch, and brings great energy to ExtraFood! Angela has a very busy life but still manages to fit in her regular Thursday food trip from our friends at Taqueria Mi Pueblo in San Anselmo to SparkPoint Marin. We’re grateful to Angela for always making time to help out in our community! After doing her first food trip, Janet decided to commit to a regular trip from Nugget Markets in Corte Madera to Manzanita Recreation Center in Marin City every Tuesday. We’re so lucky that she can dash out from her job during her lunch break to get the trip done! And she’s recovered and delivered nearly 3,300 lbs of food since she joined our team in September. When volunteers “own” regular trips, that makes it even easier for us to maintain our very high standards for reliability, and it makes things simpler for all, too. We’re grateful to Janet for her great energy and dedication! Antonina joined ExtraFood only recently but has jumped in with energy, passion and a willingness to take on two regular food trips with big donations. In just under 4 months, she has recovered and delivered over 1 ton of food! She has helped out on other food trips as well, and once came to the rescue at the last minute at the Friday Mill Valley Farmers’ Market. We are delighted that Antonina has brought her dedication and commitment to our team! Joelle has been an ExtraFood volunteer for almost two years! She did a number of regular trips for quite some time, but lately has been switching things up and trying out a medley of different trips. This week she jumped in on a trip with a brand-new donor, and we relaxed that much more knowing it was in Joelle’s hands. We’re delighted that Joelle continues to be such a dependable and loyal volunteer. Terri leads the Rafael Evening Rotary Club team for ExtraFood on the 4th Sunday of every month at the Marin Farmers Markets. She pulls together a group of volunteers for their monthly commitment; picks up, sets up and returns all the necessary equipment from our storage area; and oversees the collection and distribution of the market donations. We are so grateful for Terri’s continued commitment to leading her team and getting all of that great produce to those in need! She clearly embodies Rotary International’s credo: Service Above Self. Jayne was one of our very first volunteers, joining our team 2 years ago. She’s delivered over 2 tons of food to our recipients! We are grateful to Jayne for her dedication to ExtraFood, to our partners, and to the people we serve. Marcia joined us only a few months ago but has already established herself as a go-getter! Last week she did 6 food trips and also signed up to “own” *four* regular weekly trips—ie. the same day/time/donor/recipient each week—starting this week. When our volunteers commit to regular trips it makes everything even more consistent and simple for us and our partners. We’re grateful to Marcia for her terrific energy and dedication! Hank has been volunteering for ExtraFood for nearly a year. Enthusiastic, funny, energetic and committed, he has not slowed down since the day he joined the team (he’ll be reaching the 200-trip milestone very soon!). He has done a variety of food trips all over the county, including the Sunday Civic Center Farmers’ Market many times, and regularly does the twice-weekly Fairfax Market-to-San Geronimo trip. Even with being responsible for regular trips, he also jumps in and does additional trips where he can. Hank is a terrific team player and a hugely valuable member of our team. We’re delighted to honor him this week! Our Volunteers of the Week are Terri C and Craig R’s Rafael Evening Rotary Club team. They have jumped into their 4th-Sunday-of-the-month commitment at the Civic Center farmers’ market with tons of vim and vigor! Terri and Craig’s team clearly demonstrates Rotary’s credo: Service Above Self. We are grateful for their dedicated service, great energy, and good cheer. 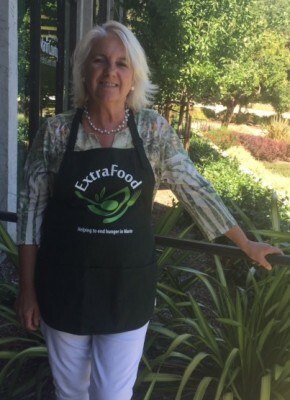 Karen was one of several volunteers who helped staff ExtraFood’s booth at the Marin Country Mart’s Holiday Market, and last week she picked up a few extra food trips while out and about, in addition to doing her regular trips. We, our food donors, our recipients, and the people we serve together are so grateful for Karen’s consistency and dedication to our cause! Sandy is such an important contributor to our weekly pickup from the Corte Madera Farmers’ Market! Every Wednesday, she arrives at the Town Center, meanders through the marketplace, and distributes boxes to the vendors that she has formed relationships with. Later she meets our regular volunteer, Rob R., to hand off the full boxes which Rob then drives to Jewish Family & Children Services. Before Sandy became a volunteer we were struggling to staff this pickup slot on a weekly basis. We are grateful to Sandy for her commitment to getting this healthy produce to those who need it most! Craig has been volunteering for ExtraFood for only 2 months but has already made quite an impact, completing 23 food trips so far! He initially joined us as a Sunday Farmers’ Market volunteer but quickly branched out from there. He has helped out in a pinch many times, jumping in on a number of spontaneous food trips. He still loves his work at the Farmers’ Market, however, helping out at at the Thursday, Friday and Sunday markets. Craig brings a calm and generous spirit and we’re delighted to have him on our team. Virginia joined the ExtraFood team in January and has been a reliable volunteer ever since. We can count on her for 2 regular food trips including the Sunday Marin General trip, and she also jumps in to take on other trips when she can. Everything is simpler for ExtraFood and our partners when our volunteers “own” regular trips—we’re grateful to Virginia for all that she does! 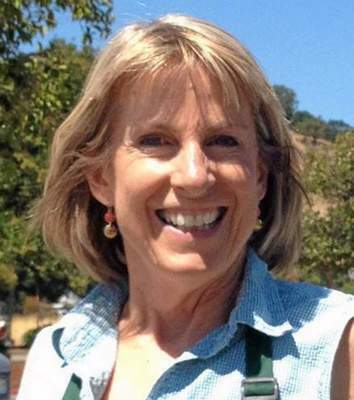 Lynne deserves very special recognition for her work with Marin’s Farmers’ Markets. She has been our core recruiter for the markets, developing relationships with the many farmers, vendors and market management. 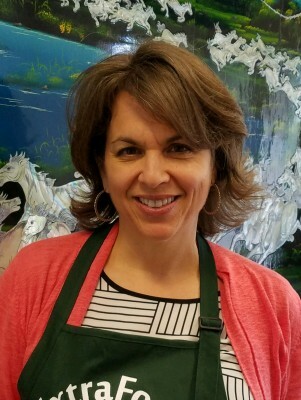 She leads our team each week at the Thursday Civic Center market and volunteers solo at the Friday Mill Valley market. From the beginning months of our presence at the Civic Center markets (May 2014), she organized and staffed the Sunday Market team and worked every Sunday for over a year. With her energy, enthusiasm and creativity (she created our green aprons!) Lynne continues to champion our mission and values, bring in new volunteers, and keep our presence at farmers’ markets strong! Meredith leads the St. Francis Episcopal Church team that staffs ExtraFood’s Civic Center Farmers’ Market pickup/delivery on the second Sunday of every month. Recruited by Sarah S., one of our regular Civic Center Farmers’ Market volunteers, Meredith took the lead early on and has been organizing and recruiting team members since March. We’re so grateful for Meredith’s consistent and dedicated leadership and for getting literally tons of wonderful produce to those in need. Lynne has been busy with food trips since being referred by two of our longtime volunteers, Dan and Sue, and joining ExtraFood in May. Almost immediately she volunteered to handle the regular Saturday morning Chipotle trip, and recently added the regular Noah’s trip as well. We’re always delighted every time a volunteer signs up for a regular trip, especially weekend trips! Since joining ExtraFood in March 2014, Sandy has rescued almost 14,000 lbs of food! Nearly all of that has come from our generous and sustainability-focused friends at @Whole Foods in Mill Valley where Sandy stops in every Thursday to pick up produce, dairy, deli and bakery and deliver it to people who need it in Marin City. We’re grateful for Sandy’s long-term commitment to ExtraFood and for “owning” an important regular food trip on our weekly schedule. Rob has volunteered for ExtraFood for 18 months, has recovered almost 12,000 pounds of food and has just completed his 100th food trip! Rob literally came to the rescue this past week by jumping in, at the last minute, to back up another volunteer and help move a humongous amount of donated food to multiple recipients—twice! That was added to his regular trips including Andronico’s, Branson, the Corte Madera Famers’ Market and Marin General Hospital for a total of 8 trips. Wow! We’re grateful for Rob’s long-term and ongoing commitment to ExtraFood and the partners and people we serve. Marina has been on our team for 16 months and has rescued over 800 pounds of food. And total weight rescued doesn’t come close to telling the whole story: a 20-pound donation might be 20 large burritos headed straight for 20—or more—kids, as on the Taqueria Mi Pueblo San Anselmo trip that she’s done many times. She’s signed up for a variety of food trips when they’re posted at the beginning of the week and sometimes also jumps on spontaneous trips when they come up during the week. We’re delighted to have Marina on the team! 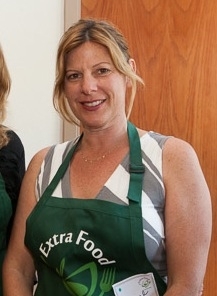 Shannon has been absolutely invaluable to ExtraFood. Why? Because she’s been doing a regular food trip (Kaiser Hospital to Mill Street Center) on the weekend, when it can be challenging for us to keep trips handled consistently. Often doing her trips with her young son, she did her first Kaiser trip in September 2014 and has been committed ever since, rescuing 2,430 lbs of food on those Kaiser trips, not to mention helping out on other trips as well. We are blessed to have a volunteer like Shannon who has been as dependable as they come! Amy did a variety of food trips — and was a key part of one of our videos which you can see here — before deciding to become a regular on the Novato Nugget Market trips. Every Tuesday and Thursday she delivers Nugget’s terrific donations to people who are in need, sometimes with her daughter Paige’s help. This week she had a different companion: she was accompanied by a local food writer for a forthcoming story on ExtraFood’s work. That’s just like Amy—to take extra time to help grow our program. She has been part of our team almost since the beginning, thanks to a referral from ExtraFood volunteer Deirdre, and we feel so fortunate to be the beneficiaries of Amy’s dedication and commitment! Lisa D completed her first food trip for ExtraFood in May. Since then she has taken on many trips such as Noah’s, Chipotle and an occasional Farmers’ Market before settling on her regular Kaiser trip and the bi-weekly Lotus Cuisine trip (where she picks up prepared food made for us as part of our Planned Giving program). Lisa cares deeply about reducing food waste and we’re delighted she has a passion for our work! Lisa has been a loyal volunteer for 20 months, starting just a month after ExtraFood was launched. She’s done a wide variety of food trips for us and our partners, including the regular Novato La Boulange trip for 9 months until it closed down. We know we can always count on Lisa and are grateful to have her on our team! ​Janet, accompanied by her husband Chuck, make up one of our steady husband-and-wife teams. Joining us in March 2014, they quickly saw food trips that matched perfectly with their schedules—the Marinitas and Insalatas trips—and volunteered to do those trips regularly. This summer, Janet and Chuck completed their 100th trip! We’re very grateful for their dedicated service to our cause and our community. Cathy and Ron are a husband-and-wife team and have been with us for over a year. This week their grocery store pickup was twice the normal size, but they handed it gracefully as always. With 160 food trips to date, they have made an enormous difference to ExtraFood and our partners. We are so grateful to have Cathy & Ron on our team! Ernie joined ExtraFood in May 2014 and has done a variety of food trips since then, focused mainly on Kaiser and Arizmendi pickups with a sprinkling of Noah’s Bagels in between. Since the beginning of this year, he has become a terrific regular volunteer on our team at the Thursday Civic Center Farmers Market, where we pick up so much incredible produce from the generous vendors. Ernie is always a delight to work with—a true team player! 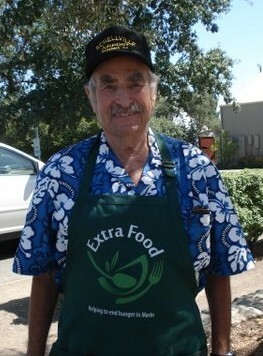 Marv has volunteered for ExtraFood since the early days of the organization, often accompanied by wife Sue. In the beginning, they tried out a few different food trips but they’ve now settled into a regular Saturday pickup from Marin General. We and our partners really appreciate having regular weekend volunteers like Marv — he reached 50 trips this week! Congratulations Marv! Marijohn joined our team in February and has done 30 food trips so far! After checking out a few different trips, Marijohn settled on the regular SusieCakes and Chipotle trips. Volunteers “owning” regular trips makes things simpler for us, our food donors, and our recipients. We’re grateful for Marijohn’s commitment to ExtraFood! Marilyn is one of our original volunteers and has completed 54 food trips so far. She’s very responsive, likes variety in her food trips (she’s driven all over the county on them), and creates great trip reports—sometimes with photos. We’re so happy that she’s continued to volunteer with ExtraFood for over a year and a half! Curt has done 150 trips for us since he joined the ExtraFood team—as one of our first volunteers! Curt is an enthusiastic volunteer, does 2 regular trips each week, and has also stepped up to take on some of the larger trips recently. We’re delighted that Curt remains one of our loyal volunteers! Sarah has been with us since our very first week, and has completed 92 food trips so far! She “owns” two of our regular weekly food trips, which is so helpful to us and our partners—we all know that, barring illness or vacation, she’s going to do those trips, week in and week out. She often brings her young daughter along with her, thus providing her with life lessons about reducing food waste and serving the less fortunate in her community. We feel so lucky to have Sarah on our team! 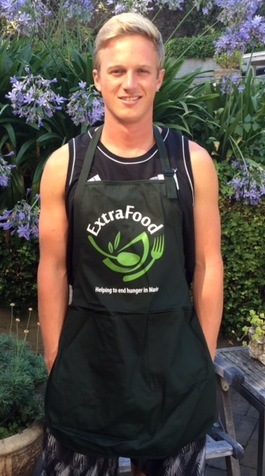 Morgan has done 61 food trips since he began volunteering for ExtraFood. He’s as reliable as clockwork, submitting his trip reports in a timely manner and doing his weekly trip from Marin General to New Beginnings every Thursday, week in and week out. We appreciate Morgan so much for his generous loyalty to ExtraFood, our partners, and the vulnerable people of our community! Peter has already completed 35 food trips since he joined the team in January! He has delivered ExtraFood donations to all parts of Marin, from San Geronimo to Marin City. We’re lucky to have him on our team! 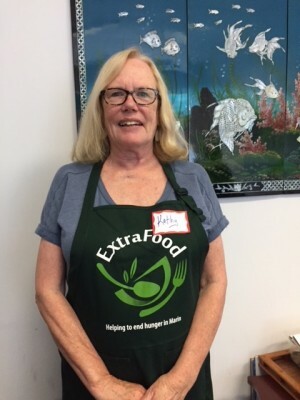 Recognized this week in the Marin IJ for her immense and longtime service to ExtraFood, Ellen has completed more than 175 food trips, was a founding member of our teams at the Civic Center Farmers’ Markets, and helped plan our recent Volunteer Appreciation event. She’s always enthusiastic, funny, and dedicated—an amazing volunteer. Peter started out with the Lotus Restaurant and Noah’s food trips, and likes to have a regular schedule of trips that he does each week. He’s now consolidated his weekly volunteering into a single, very productive day—4 trips! We’re lucky to have him on our team. Julie regularly signs up online for food trips, and also takes on spontaneous trips as they come up during the week. She has no fear of the big trips! She was a critical part of the team sorting, dividing, and delivering the huge Novato Nugget food donation recently. We’re delighted that Julie’s on the ExtraFood team! 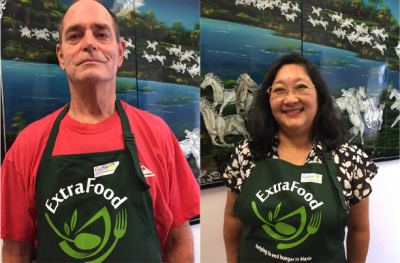 Susan, along with her husband, Dan, has been a volunteer since ExtraFood’s second month. She’s done a variety of food trips for us, including the Chipotle-to-Manzanita trip this past week, which helps vulnerable children—a top priority for ExtraFood. We’re grateful for Susan’s longtime support and passion for our cause, and are delighted to honor her this week! 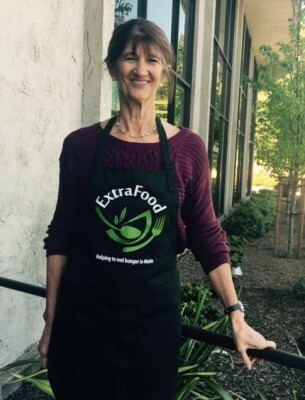 Margaret not only volunteers for ExtraFood, but also helps to coordinate all the food that arrives at the San Geronimo Community Presbyterian Church. Easy to reach and always willing to help out, Margaret has been a consistent force in helping deliver and distribute food to West Marin residents. We’re delighted she’s on the ExtraFood team! Mary has been with ExtraFood for 10 months and has played a central role in two big team efforts recently to move huge quantities of food around the county. She’s always so reliable, eager, and upbeat…and she has a Suburban! We’re all grateful that Mary is on our team. Libby’s support has been absolutely invaluable with organizing, sorting and delivering the recent large food donations from the Nugget Markets. She has personally transported over 2200 lbs of food in just 3 weeks in a variety of food trips. And it’s such a delight to work with her! We are so fortunate to have her great energy and spirit on our team. Alissa and Mike are one of our husband & wife duos. Variety is the spice of life for these two as they’ve taken on a wide selection of trips throughout Marin. We’re delighted and grateful that they’re part of the ExtraFood team! Thanks to Lee, Rob, Mary, Curt, Libby, and Julie for their collective enthusiasm, efficiency, energy and muscle power for recovering over 3500 pounds of food from Nugget Markets and delivering it to several of our grateful recipient partners. What a team! Kamala has been with us since November and has been a regular on an M.H. Bread & Butter food trip for quite some time. She tells us that she’s greeted with warmth and familiarity at MHB&B and Martinelli House and that’s what she enjoys most about doing a regular food trip. Recently she’s also been interviewing and filming some of our food donors and recipients for an upcoming ExtraFood video. We’re so glad she’s on the ExtraFood team! Karen’s been with us since January and dove right in, taking on two Wednesday regular trips right from the get-go. She’s 100% reliable and takes on other food trips when she can. A super volunteer! Rob has been volunteering for ExtraFood for a little over a year, with 47 trips so far. He shared a photo with us a few weeks ago of his truck loaded up with about 700 lbs of donated food. Wow! Rob brings lots of enthusiasm, and for some of our biggest food trips, too. We’re delighted to have him on the team! Annie helps us out whenever she can, taking on a variety of different trips. The nature of our system is that some of our donors don’t have extra food to donate at times, and have to cancel a trip. Annie’s had some of those cancellations lately, but she’s stuck with those trips, and we appreciate it! Our Volunteer of the Week is Jo. Her favorite trip is to Ponsford’s Place Bakery, where she picks up their delicious pastries and drops them off to our recipients every Tuesday. 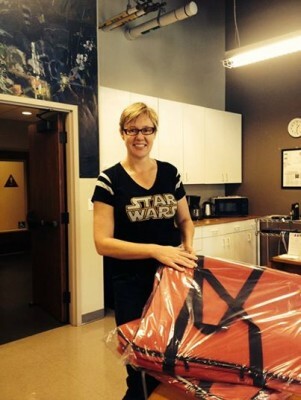 Our recipients changed their delivery requirements a couple of times recently, but Jo was still able to deliver. Flexibility - a great quality in a great volunteer! Elena and Aidan are a great mother/son team who have done a variety of food trips since joining us a year ago. We particularly appreciate them for the time they contribute to the Sunday Farmers’ market, and Elena has now stepped up twice to lead the team at the market. Here’s to Elena and Aidan, we appreciate you! Ellen has been a volunteer since last summer and her food trip of choice is the Thursday Civic Center Farmers Market. We appreciate that Ellen jumps in to lend a hand at the market whenever she can - a great team player. Thank you Ellen! food trips and has even fit in a couple of trips at the Sunday Civic Center Farmers Market. Hank also volunteers elsewhere in the community, so we’re thankful that he has chosen to share some of his time with ExtraFood! 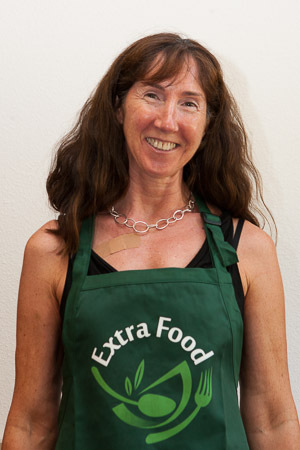 Ellen began volunteering for ExtraFood one year ago this week and has done 136 food trips to date! She’s one of our team leaders at the Sunday Farmers Market, has done a regular weekly Kaiser trip for many moons, and….she still takes on extra trips whenever she can. She’s great to work with, utterly reliable, and a true team player—an absolutely invaluable part of the ExtraFood team. These 4 dedicated volunteers offered their time this week to recover 155 emergency food kits from Marin General and deliver them to Ritter Center. It took 3 SUVs to move all of those boxes over to Ritter. What a team! Since each kit has 9 meals, that’s 1,395 meals recovered in one trip. A great effort for a great cause. Riva has done over 45 trips since she joined ExtraFood last February. She jumps in and handles a variety of trips whenever she can, and loves the flexibility of ExtraFood because she and her husband travel often. Last week Riva went the extra mile to make sure that AHO’s youth event received the donation that they were hoping for. We thank you, Riva, for all of your help! Isabelle is a high school student who joined ExtraFood over 9 months ago. She has been doing the Noah’s Bagels trip every Monday afternoon. Recently, Isabelle approached her school about the excess fresh food they’re wasting and they’re now considering becoming an ExtraFood food donor. Way to go, Isabelle! Lee joined ExtraFood in May and since then he has done 129 food trips! We can count on him every week for his three regular trips and sometimes he even takes on more. Lee is also an invaluable volunteer because he’s always providing us with great feedback about his trips, including opportunities for us to improve our service. We salute you, Lee! Since June Ananda has been doing a variety of food trips throughout the county—4 this week! And on top of that, we were lucky that Ananda was so flexible this week—traveling out to West Marin for a delivery when the original San Rafael recipient had to cancel. We’re grateful to have Ananda on our team. Sharron is the absolute queen of Planned Giving! She has received numerous commitments from restaurants, such as Mi Pueblo and Chipotle, to make extra food for us. But this week Sharron was at her intrepid best. She was at one of our Planned Giving donors for reasons unrelated to ExtraFood, not once but twice. Both times Sharron asked if they had any extra food to donate, and both times they did! Sharon’s willingness to ask organizations to be generous has really paid off for us and for our recipients. The dynamic husband-and-wife team of Cathy and Ron started the week by picking up from both sides of the building at Whole Foods in one trip. Then, not only did they do a trip out to West Marin, but did another trip out there during the same day! In addition to her regular weekly trips—captaining the team at the Thursday farmers’ market, delivering from there, and doing the Friday Mill Valley farmers’ market trip—Lynne recruited, picked up and delivered the KIND donation—1200 of their terrific snack bars, which Lynne delivered to 3 of our recipients. Plus, because of the dance party Lynne arranged a couple weeks ago, one of the attendees there held her own benefit for us at MoveMe Studio. On top of all that, because of Lynne’s work with Andronico’s, they expanded their donation in a big way. And who picked it up and delivered it? Lynne! Ananda has been with us for quite some time now, and Safeway/St. Vincent’s is one of her favorite trips. That’s an important one, as so often Safeway donates lots of eggs, which are prized by our recipients. Eggs aren’t cheap, and they’re a great source of protein—our recipients’ #1 request. So when we bring large quantities of eggs to our recipients we’re directly helping them reduce their food budgets and helping them give their clients an important component of their diet. Daniel did not one but two trips to Green Gulch Farm Zen Center up Shoreline Highway in Mill Valley to receive their wonderful donations, including a donation of lots of bread loaves. Daniel makes a point of regularly checking the schedule and the emails/texts for food trips that work for him. And, he often takes one or both of his kids with him on trips as a way of modeling the importance of serving our community. Going to the ess-frequently-visited areas of our county to get food donations is a very important part of what we do, and we thank Daniel for doing that this week. Marina is another great member of our growing West Marin crew. She has done a variety of trips for us, not only to West Marin but to other parts of the county as well. She is always one of the first to sign up when the weekly signups are published, and reports the weight and contents of her trips quickly as well. She’s a pleasure to work with and we’re delighted to have her on the team. 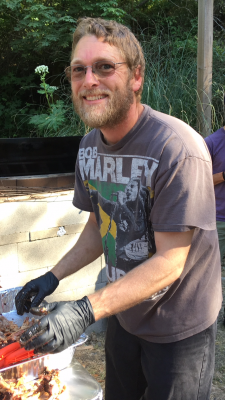 Mike T. has done a number of different food trips for us, but he’s most often doing a trip out to San Geronimo, helping us to serve our partners and the vulnerable people they serve in West Marin. Mike doesn’t live in West Marin but he likes to deliver there, and we really appreciate it. Ernie lives in West Marin, and has been one of our volunteers who quickly signs up for trips that deliver there. That’s important because West Marin is one of the areas we focus on, both because of the concentration of people in need there and because there’s very limited access to fresh healthy food. I’m sure Ernie would agree with any of us who’ve done trips out there that West Marin is often closer than we think! Ernie also joined the team at the Civic Center farmers market this week, and on top of that, is sending out a whole bunch of postcards to promote the December 4 concert benefitting ExtraFood. He’s done all sorts of trips around the county, and is a longtime member of our team. Dan has been with us since we began our program in December. In the last few weeks he’s been doing a variety of trips—he’s grabbed a new trip that came up during the week, filled in for a volunteer who was out, did the Wednesday Corte Madera farmer’s market trip, and he’s volunteered at the Sunday Civic Center farmer’s market. Dan told me about delivering to a recipient this week, finding staff there who hadn’t heard of ExtraFood, and spending some time explaining our program. We need that kind of spreading-the-word to secure more funding, more food donations, and more volunteers for our program—Dan’s a terrific ambassador for ExtraFood. Chloe has done numerous food trips including weekend trips to recover hundreds of pounds of food that would have otherwise gone to waste. Chloe is also a tireless evangelist for ExtraFood in the community and is a pleasure to work with. Lisa has been working at the Civic Center farmer’s market, filling in for our regular on the La Boulange Novato trip, doing the Country Mart market trip, filling in on other trips such as the Kaiser trip, taking on spontaneous trips that come up….and all with a positive, can-do attitude. Lisa is someone who is always ready to do what needs doing! Elena has done a number of different trips, but most often she is delivering donations to Next Generation Scholars in San Rafael, a terrific organization helping underserved kids travel a path to college. Elena’s school-age son Aidan accompanies her, and she reports that Aidan has learned some powerful truths about Marin and his peers from what he has seen at NextGen. Cathy and Ron have done a number of different trips since they joined the team (including some that take a bigger vehicle, glad they have that!) for which we’re very grateful, plus they’ve been regulars on the Friday Arizmendi trip, one of the few that can have two recipients. We really appreciate Cathy and Ron literally going the extra mile for us, our nonprofit partners, and the vulnerable Marin residents they serve. Kate’s been involved with ExtraFood since February. She’s a regular on our Monday/Tuesday Whole Foods to LIFT trips and is our ‘on-call’ back-up for an afternoon trip. Kate is always flexible and reliable as a food runner, and continues to look for ways to deepen her involvement with ExtraFood. We’re so lucky to have Kate on our team. Marv has done a variety of trips including Marin General, Mi Pueblo, Insalata’s and Whole Foods, and has delivered everywhere from Novato to Marin City. And he has played a critically important role for us volunteering on weekends. He has been with us for quite some time and we appreciate his dedication! Our Volunteer of the Week is Mary. Mary has done a variety of food trips—Safeway, Marin General, the Thursday and Sunday Civic Center markets—and she’s delivered across much of the county, from Novato to San Rafael to, yesterday, West Marin. Mary is always so energetic, supportive and ready to help. Thank you Mary! Denise has been a regular at the Thursday and Sunday Civic Center farmer’s markets, at which we collect literally thousands of pounds of food each week. Denise is friendly, cool under pressure, and a great teammate. Whether she’s on a Thursday team or a Sunday team, we’re always happy to be working with her. Thank you Denise! Not only has Ginny been filling in for other volunteers from time to time, but she has been doing a regular Marin General trip for quite a while, part of the 7-days-a-week Marin General team that has been doing such a marvelous job. Through her regular trip, Ginny has been delivering hundreds and hundreds of pounds of food to children and seniors in Marin City. Thank you Ginny! Kris has been an absolute mainstay of the Civic Center Farmer’s Market team on Thursdays. She’s just a terrific person to work with—great attitude, great heart, completely reliable and just plain fun. When she got word that her work schedule was changing such that she wouldn’t be able to do Thursdays any more, she immediately asked for a different trip that would fit her schedule, and voila, she’s covering the Corte Madera farmer’s market for us now. Thank you Kris! Liz started the week getting up early Sunday morning to help with the massive haul of extra food at the Marin Century. And she spent some of her day yesterday picking up the donations from the Marin Country Mart farmer’s market. Luckily for us, she’s been on the team for quite some time, doing regular trips, filling in for people who are out, and grabbing spur-of-the-moment trips as they come up. Liz is a true all-arounder and a great team player. Thank you Liz! Suzanne has done many different food trips for us, including the Civic Center farmer’s market. She frequently takes on a role that we ask many of our volunteers to take on as well: doing trips that don’t have a regular volunteer, and filling in for regulars when they’re unavailable. That’s an important part of making our team work well together. And she’s always timely with her reports on her trips. Thank you Suzanne! Our Volunteer of the Week is Joelle! She’s been doing a regular Kaiser trip for quite some time. On top of that, she’s been a huge part of our work with farmer’s markets across Marin. She, along with her husband Arby, is a regular at the Sunday Civic Center market, and she’s been doing the Corte Madera and Country Mart (formerly Larkspur Landing) markets as well. Plus this week she filled in at Whole Foods San Rafael. Frequently accompanied by husband Chuck, Janet does 2 regular trips for us, week-in and week-out. Our “engine” of volunteers doing regular trips is one of the many things that gives our program a strong, steady, sustainable foundation; Janet’s a big part of that. She’s always responsive, flexible, quick to report the weight/contents of her donations, and on top of the details of her trips. Thank you Janet! Lee has done a wide variety of trips for us, often several per week. But Lee goes further: he talks with donors, recipients, and ExtraFood staff so as to improve what we do. Lee is a terrific ambassador for ExtraFood.org, a dedicated food runner and a great idea man. Thank you Lee! Amara has been with us since February, doing a regular trip for us week-in and week-out. She’s always reliable and responsive, and always has a wonderful attitude toward her work for us and our partners. Doing a regular trip is a very important part of keeping ExtraFood.org rolling, and it makes everyone’s job easier knowing that we can count on Amara every week. We’re grateful to have you on the team, Amara! Morgan has been doing a regular trip for some time now—the Marin General to New Beginnings trip. He’s always on time, reliable, reports on the weight and contents of the donations, and the people at MGH and NB love him. That’s a ways to drive, but Morgan does it every week, and New Beginnings always loves the donation for their 80-bed shelter. Thank you Morgan! 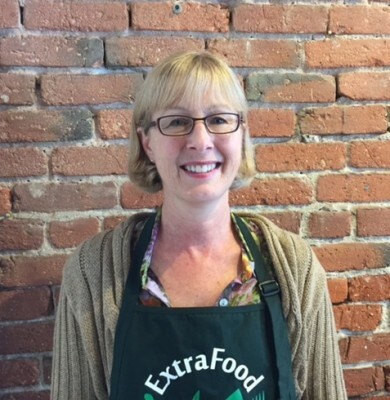 If there’s one word to describe Julie in her work for ExtraFood.org and our partners, it’s “versatile.” She’s often one of the first to sign up online for trips, be they big ones like Whole Foods San Rafael, or smaller but still very important trips like Marinitas and Insalata’s. She grabs trips that come up during the week, and she’s also joined the fun at the Civic Center Farmer’s Market. She’s always responsive, upbeat, and dedicated to what we’re all doing. Thank you Julie! Sandy has been a mainstay of the Whole Foods San Rafael team for quite some time. And, she’s been rolling with the start-up of Whole Foods Mill Valley as a donor, helping that to get rolling. She’s doing 2 regular trips each week now. And on top of all that, Sandy took it upon herself, after getting to know one of our recipient organizations, to donate some of her kids’ sports equipment to that organization. We appreciate you Sandy! This dynamic Mom-Daughter tag team has been doing the Sunday Marin General-to-St. Vincent’s trip for quite some time, and we love that because many volunteers aren’t available on Sundays. St. Vincent’s tells us that they really appreciate the food, which they integrate into several of their food programs. Debbie and Amanda are one of several Parent-Child (or, ahem, Parent-Teen) duos on our team — we thank you Debbie and Amanda! Sarah has done a regular trip for quite some time, and a challenging one at that. Sarah has had to roll with some hiccups, but she has adjusted with aplomb and is always courteous and professional with the donor, and of course the recipient loves the donations! Sarah has been so persistent and flexible on this one. Way to go, Sarah, and thank you! Cindi has been a central part of our critically important, 7-days-a-week Kaiser team from the beginning, helping to get their donations to vulnerable populations throughout Marin. She recently had to give up a regular trip after getting a new job but she immediately signed up for a different regular trip. And our recipients give her major props. Thank you Cindi! Riva grabbed a trip that came up on Monday, did her regular trip from Kaiser to San Geronimo Community Center on Thursday (one of our longer drives, but the people of West Marin SO appreciate this, and they can feel quite isolated at times), and then filled in for a volunteer who had to cancel a Kaiser trip on Saturday. And she’s always upbeat, supportive, and passing along feedback from donors and recipients. Thank you Riva! ​Ellen’s done 17 trips so far — taking on a regular trip, filling in for volunteers who are out of town, taking on trips that come up randomly — what a team player! Thank you Ellen! Rob has jumped into ExtraFood.org with both feet, doing trips all over the county including to the critically important areas of the Canal and Marin City, and a Saturday morning trip as well. This week, he dealt with a very rare mess-up by one of our donors, arriving to find they had no donation for him. Undaunted, Rob immediately signed up for a trip the next day that brought critically important food to our new partners, West Marin Senior Services. WMSS serves 800 people in Bolinas, Stinson Beach, Inverness, Point Reyes and the San Geronimo Valley. They’re meeting us at the San Geronimo church to pick up the food we’re delivering and then distribute it to their clients—a first step in a bridge we’re building together between the extra food in North/South/East Marin and the vulnerable populations in West Marin. Thank you Rob! Gale has done 14 trips for us and for our recipients! She is always positive, dependable, and a real team player. And she grabs an open slot darn quickly. Thanks Gale! What a formidable team! Separately and together they’ve been doing regular trips and trips that come up during the week, always with a terrific attitude and quick responsiveness. This weekend Sarah and Emily did a Kaiser trip and a Marin General trip together, changing the recipient of the Marin General trip at the last minute at my request because of an urgent request for food that we received. And special kudos to Terri—she was the first of many parent volunteers to involve their kids in our work. Way to go, ladies! Cindy did 3 trips this week, and at the end of last week kicked off our project with Whole Foods San Rafael and LIFT, which went off without a hitch. She’s always enthusiastic, positive, and flexible, and is so often ready to take on another trip at a moment’s notice. Thank you Cindy! You rock! Sarah has done 10 food trips so far—a veteran! She has taken on one of the regular Kaiser trips, and is always positive and responsive. Plus she’s one of several parents who are involving their kids in food trips—a great role model, to be sure. Thank you Sarah! Amy did two trips this week and is always quick to inform me of the total weight of her donations, along with whatever she could see of the contents. And my spies tell me that she posts about ExtraFood.org on her Facebook page and recruits more volunteers for us, along with “Liking” our Facebook posts so that they show up on her News Feed and new people see them. Thank you Amy! Jayne did 2 trips this week, and in a cool way—she noticed that the timing and locations of two trips on the same day synched up nicely, so she signed up for both. She always gets us info quickly about the total weight and contents of donations, and on top of all that she dealt with a donor snafu (tiny donation) very gracefully—the recipient was most grateful. Thank you Jayne! Deirdre is very experienced in marketing and brand communications, and has been working “behind the scenes” with us since December. She has created our brand strategy, from which has sprung projects to create our forthcoming new logo/identity, new website, and promotional videos, among others. Marketing is very important for ExtraFood.org in so many ways: for fundraising, for recruiting volunteers and food donors, for signing up new recipients, and on and on. Thank you Deirdre! Elaine has signed up many of the recipients we deliver to. She was also busy driving all over the place this week posting “Be a volunteer food runner” fliers for us. On top of all that she did 2 food trips, and would have done a third but another volunteer’s email came to me 30 seconds before hers did. Thank you Elaine! Lynne organized, designed, and staffed our presence at the Green Tourism Summit hosted by the Marin Convention and Visitors’ Bureau. Check out the posting further down this page for photos of the “hunger fact plates” that she made for the ExtraFood.org table. And the head of the Bureau gave us a shout-out in his opening remarks at the Summit! Lynne heads up our Donor Recruitment/Relations team and continued her work on that this week, and also did a big Saturday morning food trip. Thank you Lynne! Curt is our first Volunteer of the Week! Curt noticed that two food trips on one day could be combined, and so he signed up for both and made four stops on one trip. On top of that, when Curt saw that another trip that day had not yet been spoken for, he offered to do that one, too! (We ended up finding another volunteer to do it, but wow.) Curt also spent a little time with each recipient he delivered to, finding out more about them and living our credo: “Food rescue with the human touch.” Thank you, Curt!